Buttermilk has been around for thousands of years and was once considered a cure for all ills. Traditional buttermilk comes from the thin, acidic liquid left over after churning butter from cream. Cultured buttermilk is what we find in supermarkets today. 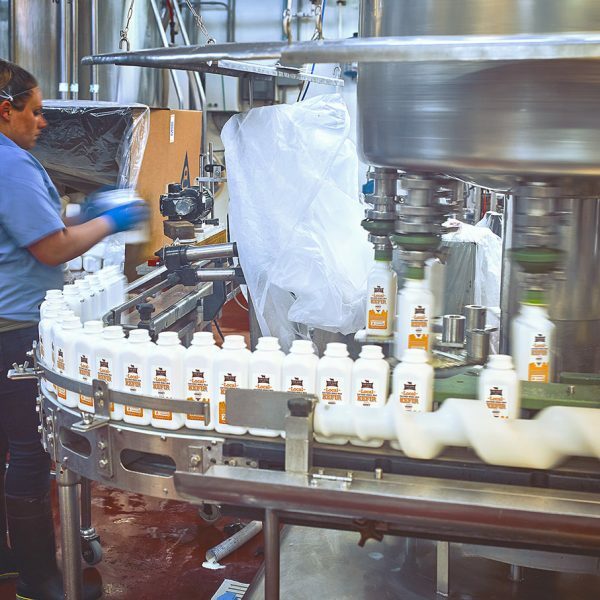 It’s typically made from adding active cultures to pasteurized nonfat or low-fat milk. 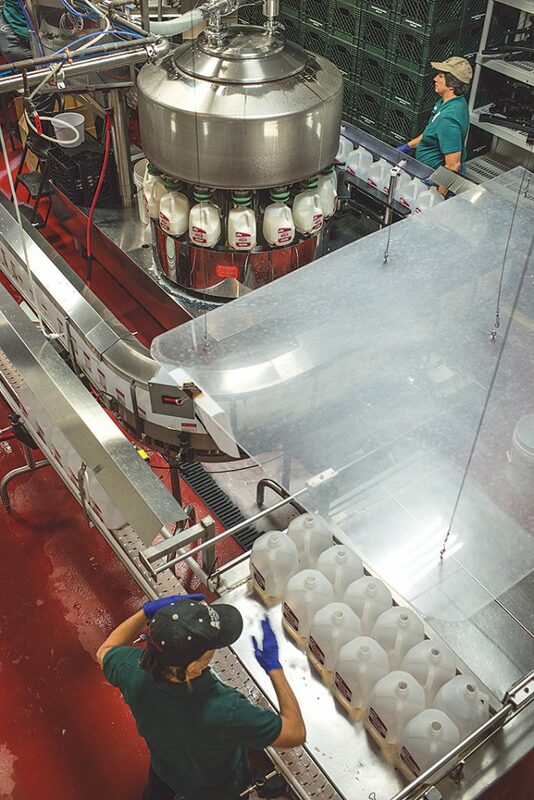 We make ours from whole milk. In Poland, buttermilk is a very popular and refreshing drink. In Ireland, buttermilk is sold in every village shop because it’s an essential ingredient for making soda bread. In the 19th century, Irish farmers considered buttermilk the best drink for energy, to quench a thirst and to cure a hangover. Young girls washed their faces in it to improve their complexions, and their mothers and grandmothers used it to make bread. 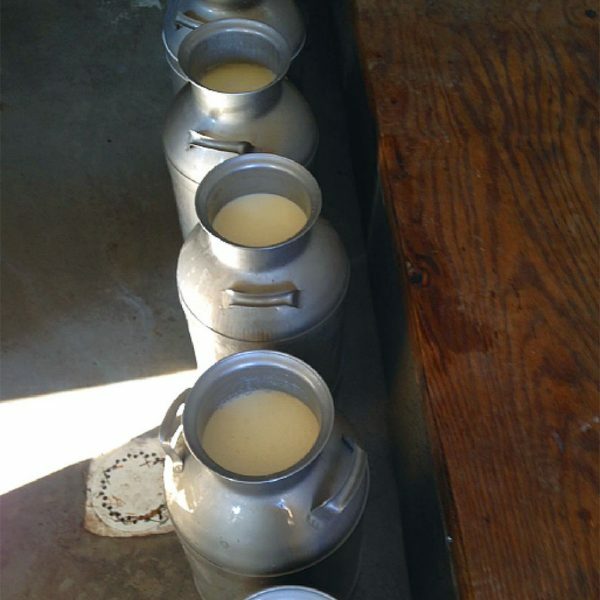 Bulgarian buttermilk is a version of cultured buttermilk in which the cream cultures are supplemented or replaced by yogurt cultures and fermented at higher temperatures for higher acidity. It can be more tart and thicker than cultured buttermilk. How do you make your buttermilk? 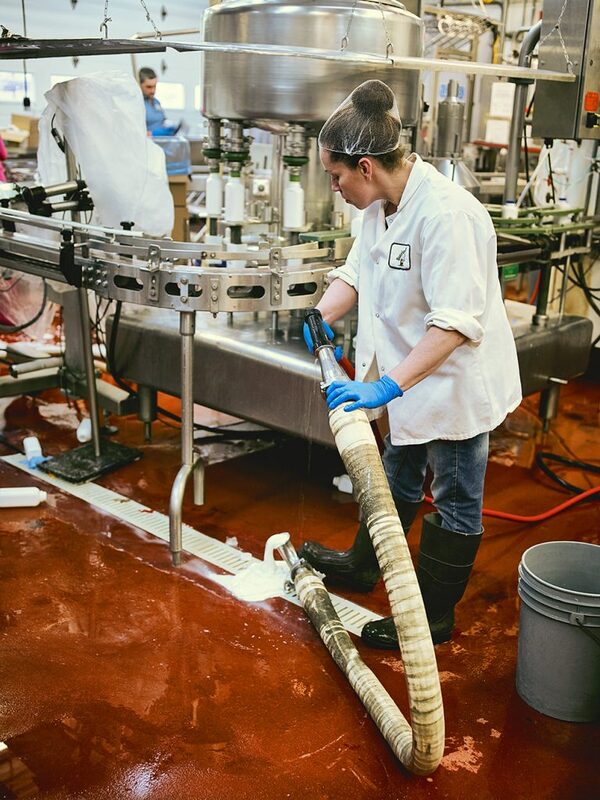 We start with fresh and creamy local whole milk, distinctive for its 3-4% butterfat content. We then add four live, active cultures. 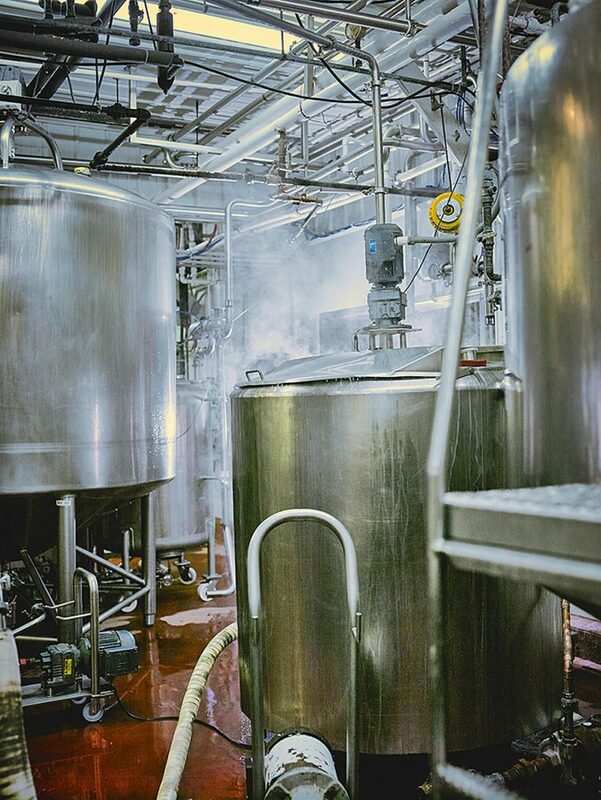 Once the cultures are added, it’s heated for a number of hours to reach the right pH level. 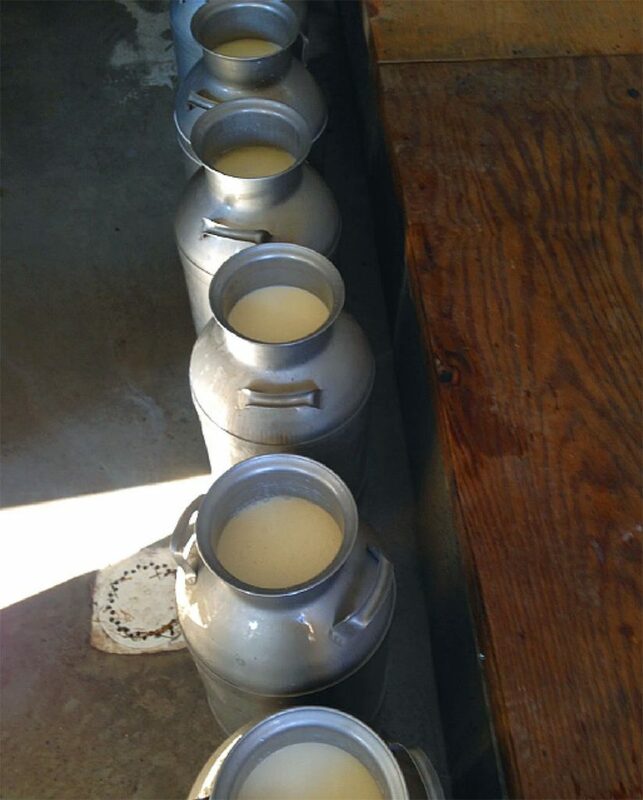 The active cultures break down the lactose sugars in the milk to produce lactic acid; this makes the milk more acidic and gives the buttermilk its characteristic thick consistency and tart flavor. After the buttermilk is bottled, it needs to sit for another 24 hours so it doesn’t “break,” meaning separate and lose its thickness. 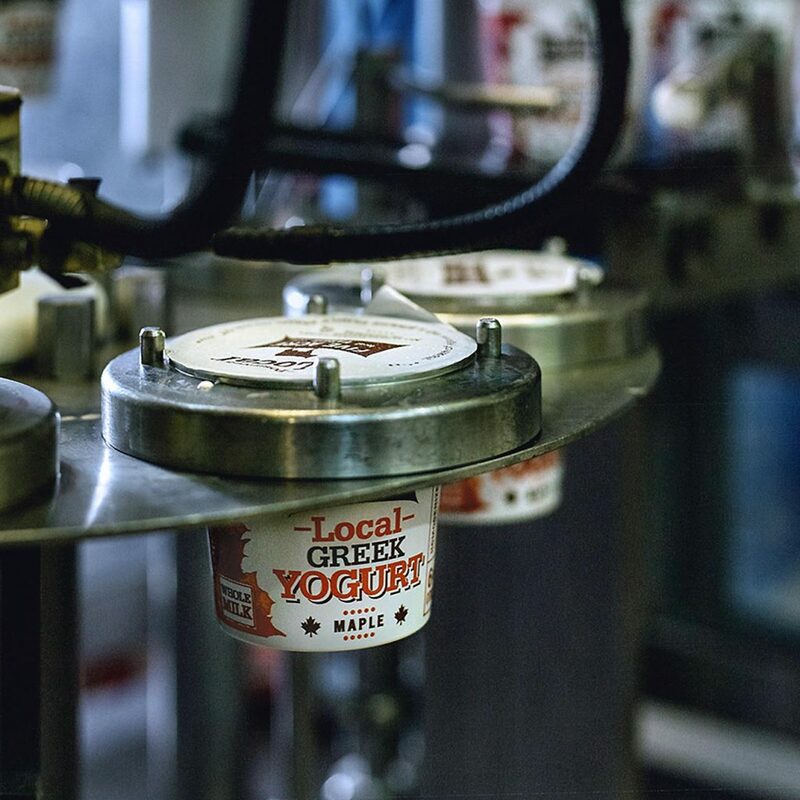 We can’t use our buttermilk or yogurts as “mother” cultures to create other buttermilk or yogurts from milk because that’s not permitted in our Grade A dairy plant. All of our cultures come from certified culture suppliers. To me, the best buttermilk is rich, light and tart, drinkable but tangy with a smooth texture. 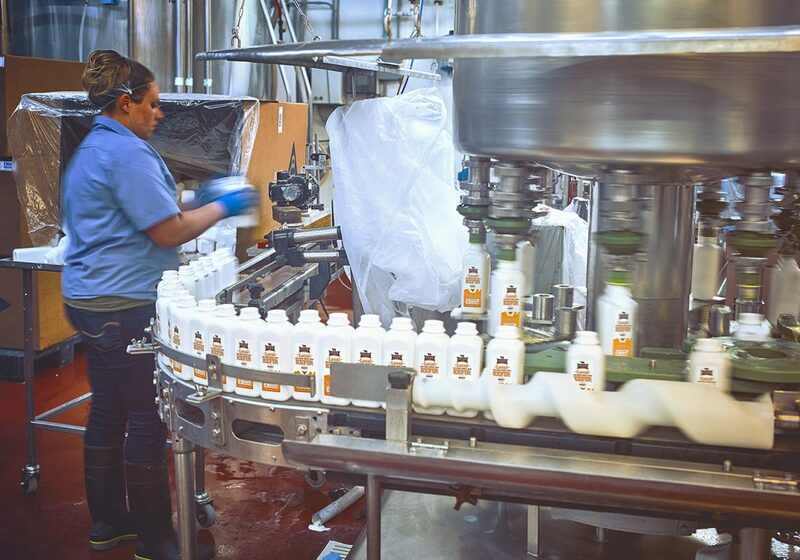 The whole milk we use to make our buttermilk, with a higher fat content than standard milk, adds complexity and gives it a hint of sweetness in the background that keeps it from tasting too sour. How does buttermilk affect a recipe when baking? What are the characteristics of buttermilk that make it great for baking? How does buttermilk enhance a baking recipe? Can you always replace milk with buttermilk? How does the replacement ratio work? Buttermilk is an excellent partner for baking soda and baking powder because its acid boosts the action of these leavening agents. Buttermilk makes fluffy pancakes, scones, and biscuits. It makes more tender cakes because it softens the gluten in the flour. It’s also a great emulsifier and thickener. We don’t recommend substituting regular milk for buttermilk because it throws off the alkali-acid balance. The acidity of buttermilk, which regular milk lacks, is a requirement for the leavening process important to these recipes. To make your own buttermilk at home, add 1 tbsp. fresh lemon juice to 8 fl. oz. fresh whole milk and stir. The milk will thicken within minutes. How did you become an expert on buttermilk? I’ve spent many years thinking about milk, what makes the best milk and what goes into making great tasting cultured dairy products. We’ve tasted a lot of different buttermilks created using different ingredients and techniques. As we set out to develop our buttermilk, we had a clear idea about what buttermilk should taste like, what it should feel like in your mouth and what people would like. We’re fortunate to work with a processing partner with expertise on cultures, and together we did extensive recipe testing. What is the most important thing to know when it comes to buttermilk? For baking, buttermilk is a great worker bee and plays well with other ingredients. It’s not usually the star of the show – unless you drink it straight! Buttermilk is naturally loaded with calcium, riboflavin, potassium and vitamin B12. Making butter at home from fresh cream (either by shaking the cream in a jar by hand or by using a mixer with a whisk attachment until a ball of butter is formed) will give you a traditional supply of buttermilk. Keep buttermilk up to 2 weeks in the fridge, or freeze it up to 3 months. 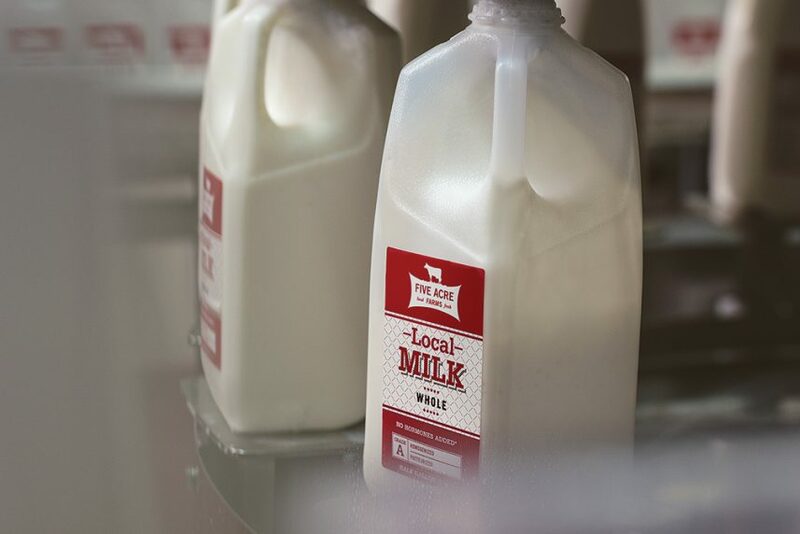 SUNRISE FAMILY FARMS makes FIVE ACRE FARMS Local Yogurt, Kefir and Buttermilk starting with the best local whole milk. 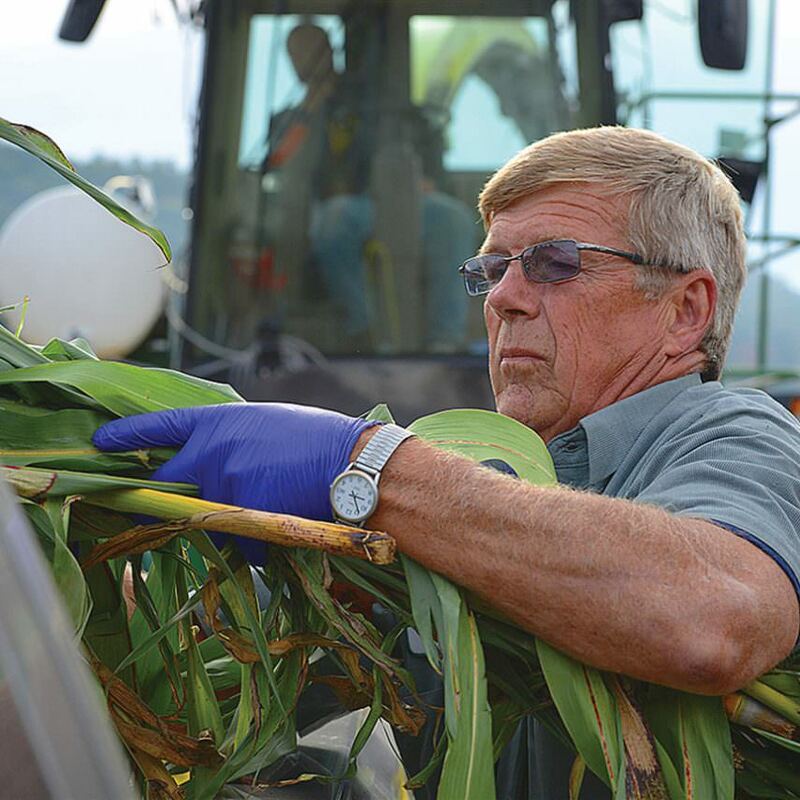 Dave Evans and his partners Charlie Reinshagen and Sandy Grant each represent a different generation of a farming family. 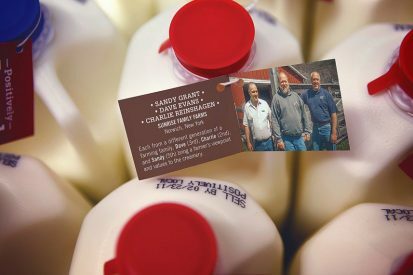 Dave (3rd), Charlie (2nd) and Sandy (5th) bring a farmer’s viewpoint and values to the creamery. 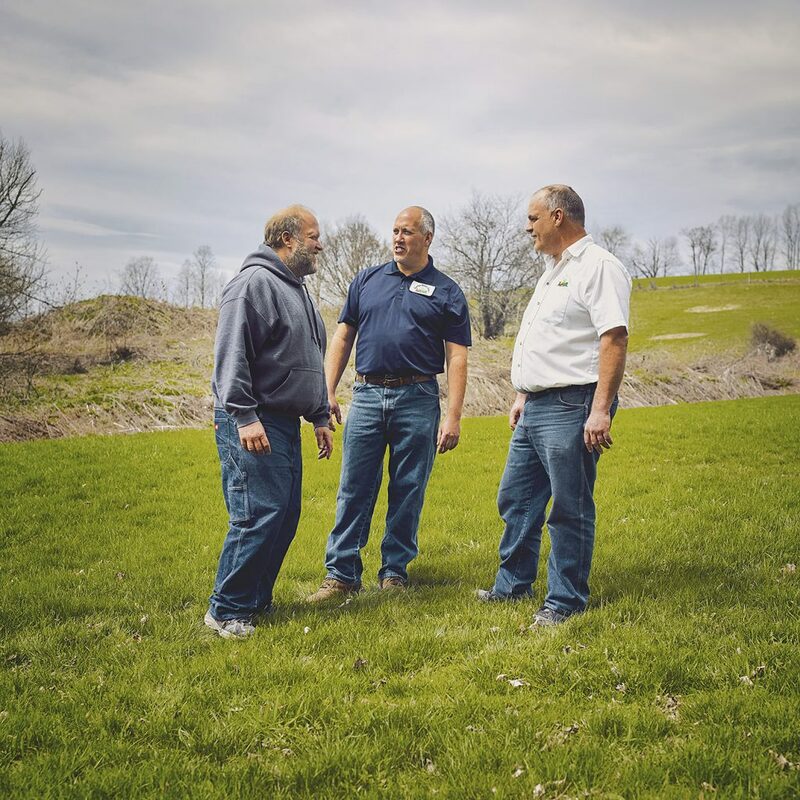 They have built a successful partnership on what the three of them have in common—family farming traditions and their love of change and new challenges as their company grows. DECICCO & SONS regional grocery chain got its start in 1973, when the DeCicco brothers—Frank Sr., John Sr., and Joe Sr.—began selling groceries out of a small storefront in the Bronx. Today DeCicco & Sons has stores in Armonk, Ardsley, Brewster, Harrison, Larchmont, Millwood and Pelham in New York’s Westchester and Putnam counties. How did your family get into the grocery business? My father and his two brothers came to America from Italy in 1958. Being from Italy, they had a deep knowledge and love of food and immediately found work at New York City produce stands and butcher shops. In 1973, they opened the first DeCicco’s store in the Bronx. How did you expand the chain over the years? 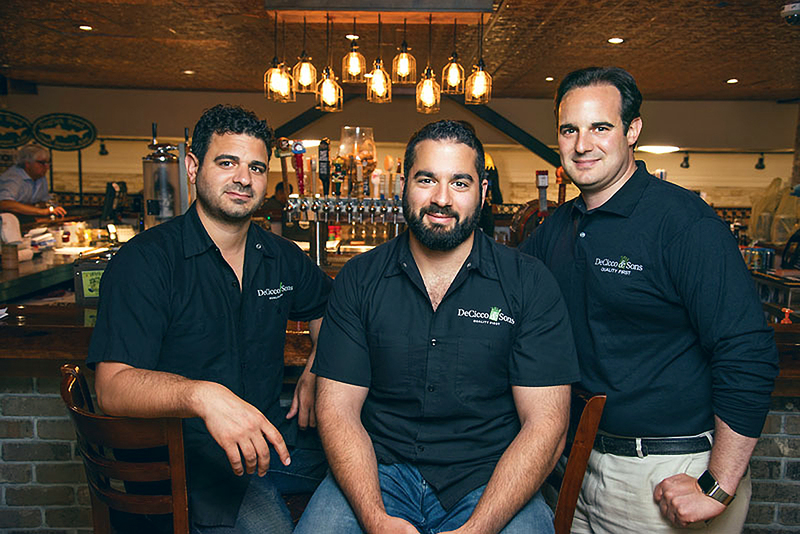 The brothers opened their first Westchester location in Pelham in 1985, and a decade later, were operating three more stores. My cousins John Jr. and Chris and I grew up together. In 2006, the three of us joined forces and opened the store in Ardsley. In addition to Ardsley, we now manage the original Pelham store and six additional stores we have opened over the past 10 years. We all share leadership of and responsibility for the business. My dad and Uncle John still walk the aisles all the time, giving us advice and inspiration and visiting with customers. What’s new in the stores? We recently introduced a beer and wine bar in Millwood, our newest store, where we host special events and new releases with brewers. All of our stores now have coffee bars, and we roast our own coffee beans in house at the Brewster location. Next up we’ll start serving FIVE ACRE FARMS milk at all of our coffee bars! How has the local food movement changed your business? The strong interest in local food among our customers has been a major development for us over the last few years. I know from talking with our customers that their eyes are open about the issues surrounding local food, and they are knowledgeable about seasonality. 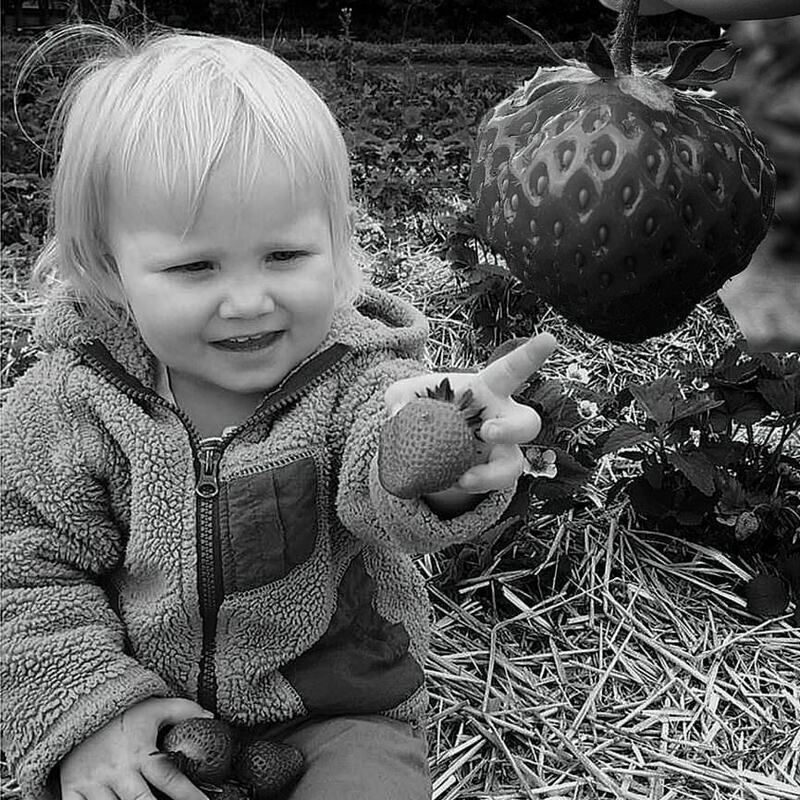 They understand that there is a time and place for local fruits and vegetables. 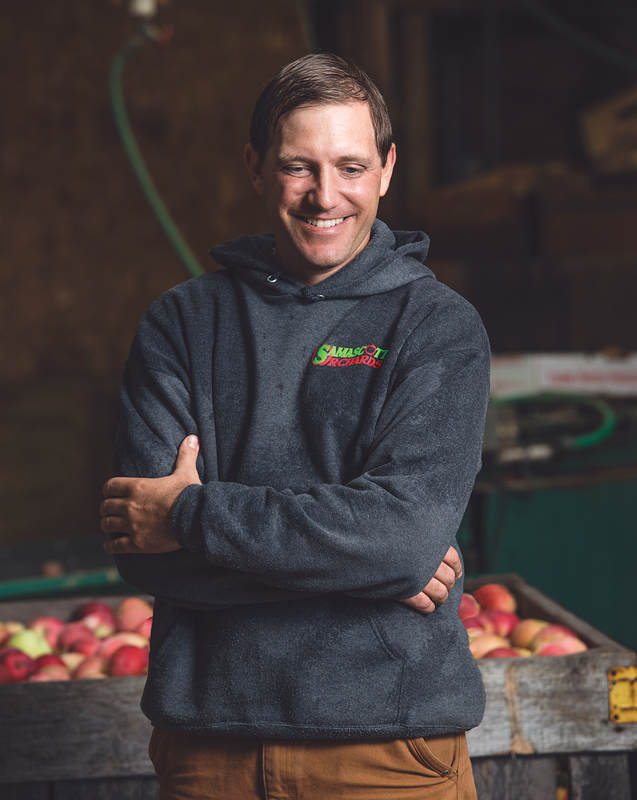 They know that they can buy apples grown in the Hudson Valley only when they are in season and don’t take that for granted. 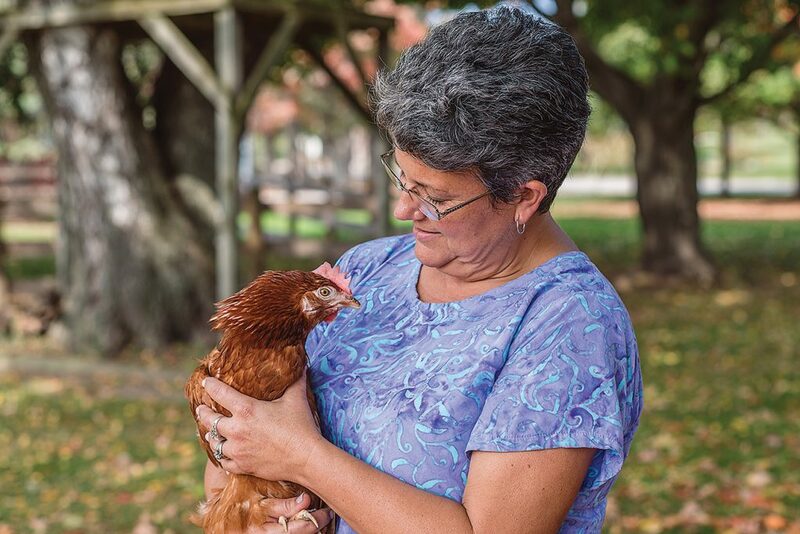 When you buy dairy and eggs from a local source, and especially with FIVE ACRE FARMS, you know where the food was produced, who the farmers are and how they care for their animals. You know they are giving you a quality product. How do you maintain your high level of customer service? Our approach to customer service is very simple: everyone in the family leads by example. No job is too small. 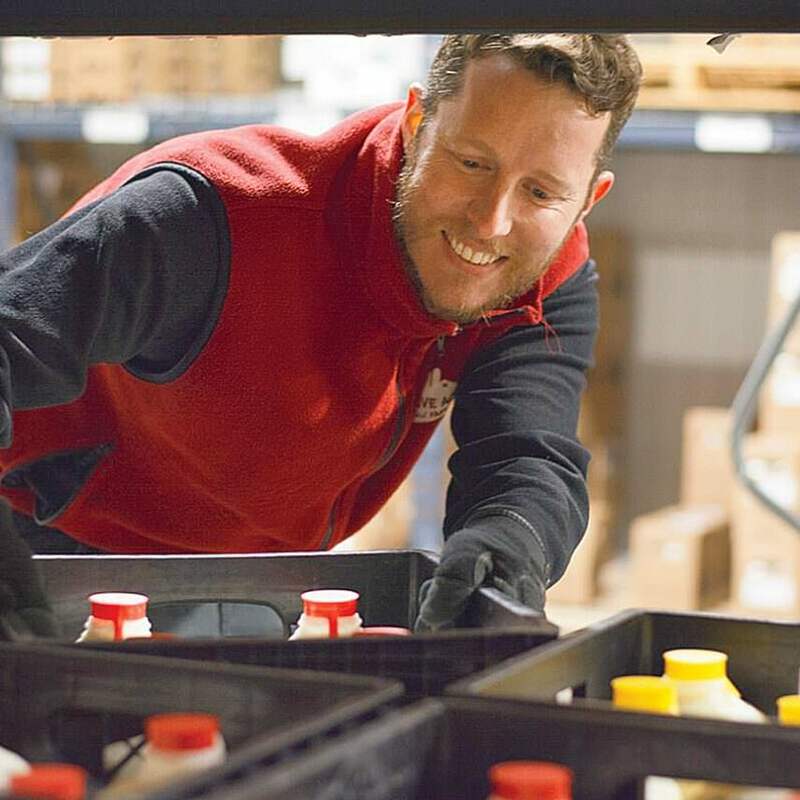 We walk around the stores, answering customers’ questions, bagging groceries, rounding up shopping carts, making sure the stores are always tidy. Our employees see us working side by side with them and interacting with customers, which promotes teamwork and collaboration. We also have a well-developed training program for all of our employees. How do you stay current with the needs and preferences of your customers? We stay close to our customers to ensure that we can respond to their requests and even anticipate what they want. At the checkout, we always ask, “Did you find everything you were looking for?” Members of our team talk with customers in the stores, our customers email us and they even highlight certain products for us on social media. 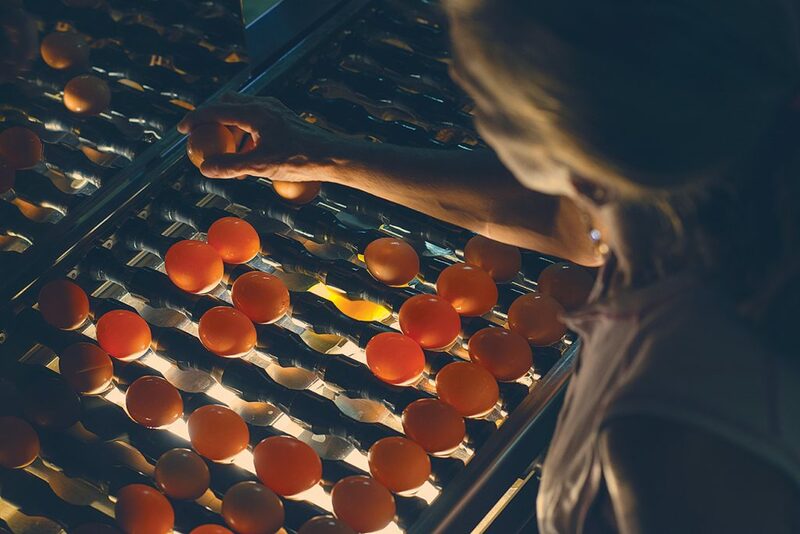 I love that the food business is so dynamic.There is always something new to learn, and I enjoy the challenge of keeping up with trends and new developments that are relevant to providing the best possible products and experience for our customers. Since I’m a foodie myself, it’s a fun time to be a buyer. I also love merchandising the store and seeing our customers really appreciate quality food. What’s the most challenging thing about your business? We operate in a very competitive business environment. Today, with online shopping, convenience stores, and big box retailers, we are faced with more competition than ever. But we also relish the challenge. 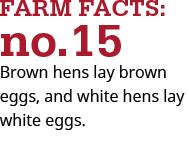 What makes the DeCicco’s partnership with FIVE ACRE FARMS work for you?? 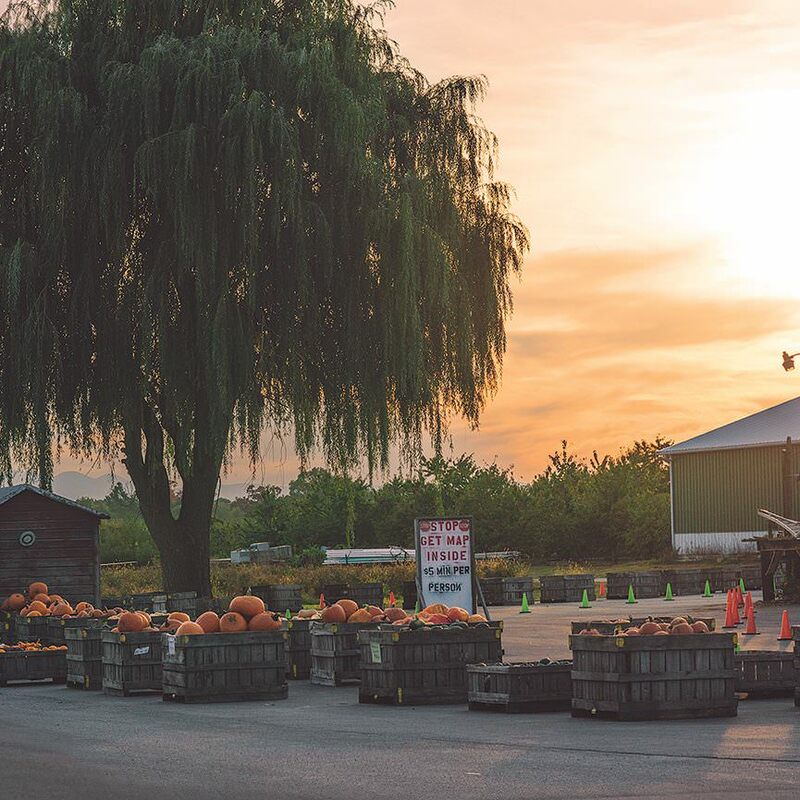 FIVE ACRE FARMS makes it easy for us to offer local food in our stores and gives us an important stamp of approval in the eyes of our customers. You provide great-tasting, quality products from farms you have hand selected. You tell our customers where their food comes from and connect them with their farmers. It’s obvious that you care about what you are doing. We like how you do business and depend on your expertise. It means one less thing we need to worry about. Click to enlarge the photos below and follow the steps it takes to get our honey kefir to you. 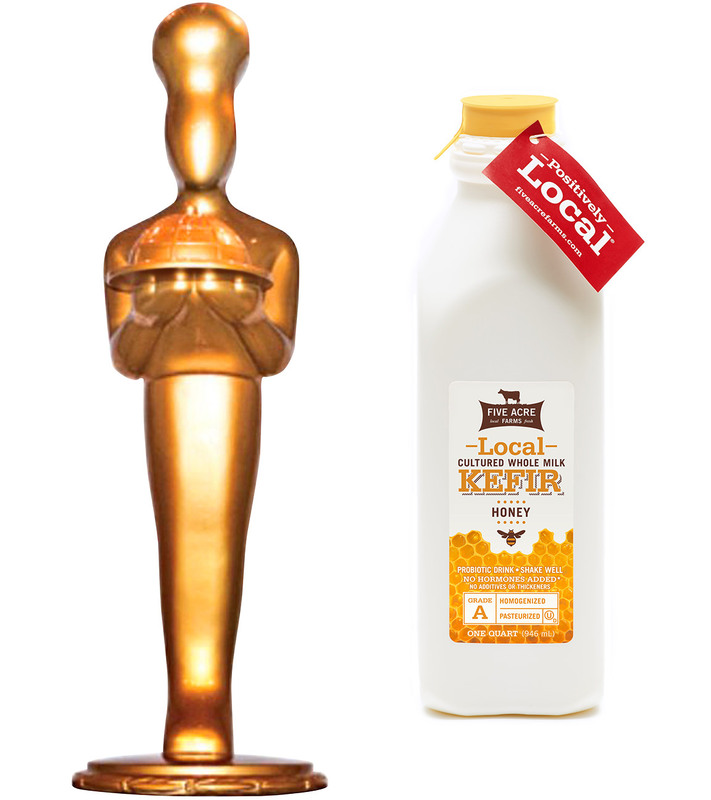 SWEEET… HONEY KEFIR WINS GOLD! We’re thrilled that our Local Honey Kefir has been awarded the 2017 SPECIALTY FOOD ASSOCIATION GOLD SOFI AWARD, an honor recognizing its taste and quality. 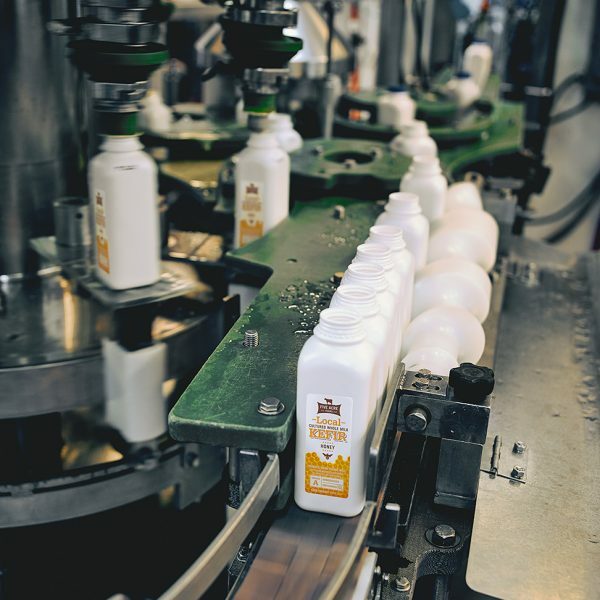 To make our kefir, we work closely with our partners at SUNRISE FAMILY FARMS, who share our focus on turning out great-tasting dairy products by using pure ingredients and keeping it simple. We start with the best local whole milk from cows cared for by outstanding local farmers and add 12 carefully selected live cultures. 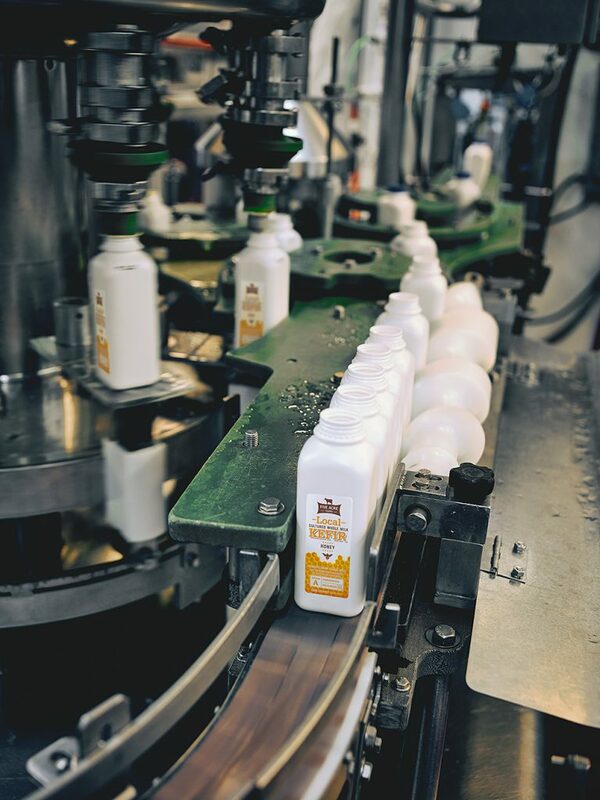 We then create this kefir’s delicate flavor by adding just the right amount of local honey from bees kept seven miles from the dairy, which pollinate orchards on the neighboring farms. Our kefir is pasteurized and homogenized, and we never use any artificial sweeteners, additives, thickeners, gums or stabilizers. 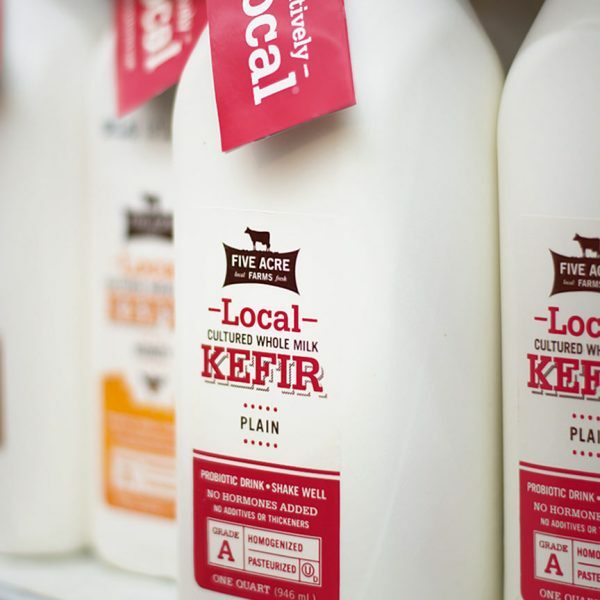 Like all FIVE ACRE FARMS products, our Local Kefir is sourced and produced within 275 miles and sold in retail locations and top restaurants throughout New York City and the Tri-State Region. We sell Milk, Buttermilk, Half & Half, Heavy Cream, Greek and Regular Yogurts, Cage Free Eggs, and seasonal Apple Cider. 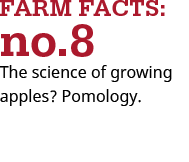 Each package specifies the farm where that batch of the product was made. FIVE ACRE FARMS brings the best-tasting local food to grocery stores, restaurants and food shops. We find outstanding farmers using sustainable practices, pay them fairly and tell their stories. 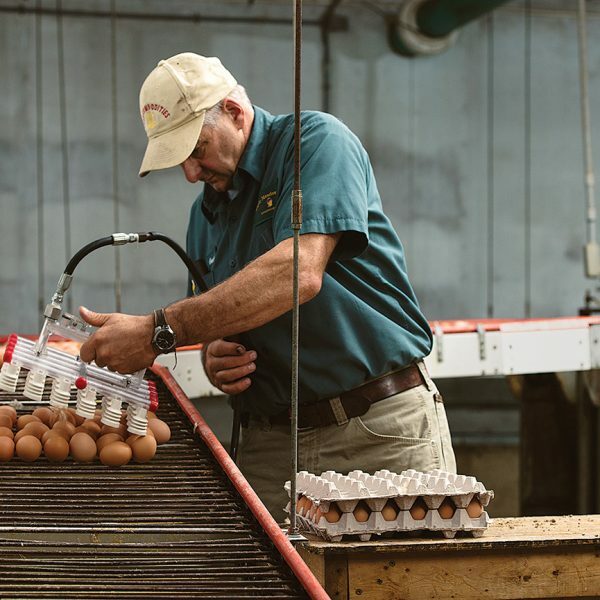 Our business helps to create new jobs, promote the local economy, expand access to local food, safeguard the environment, preserve farmland, protect groundwater, and foster proper animal treatment. We call this being “Positively Local®”. To us, that means knowing exactly where our food comes from. It means growing the region’s economy and actively participating in the community. It means restoring the connection between farmer and customer. Honeybees are heroes. They’re the only insects that produce food for humans. Honeybees—distinct from bees native to the U.S.—came from Europe in the early 1600s. Prized initially for their sweet honey, in time, they became known for pollinating crops. 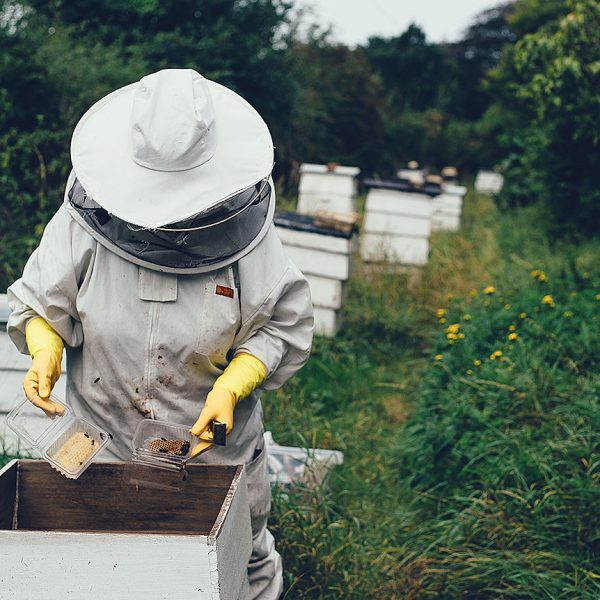 With their social structure, honeybees are easy for farmers to manage, moving colonies around from field to field to support their agricultural needs. 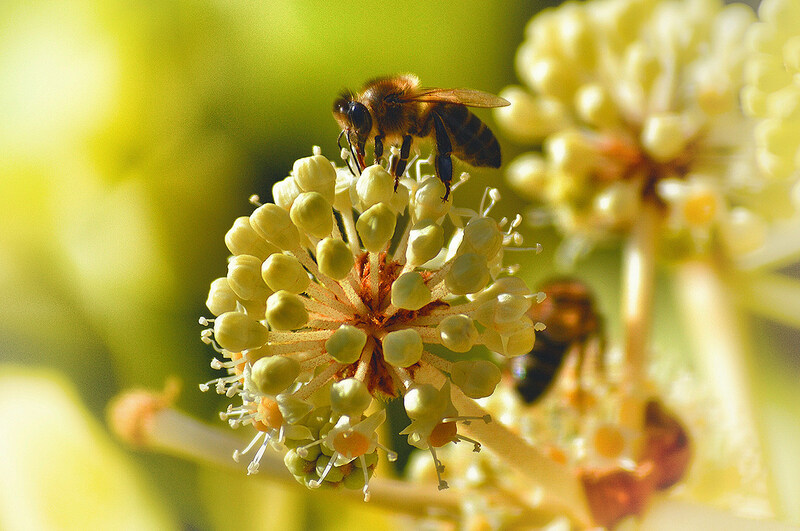 Many Central California farmers rely heavily on honeybees to pollinate crops because there are few remaining habitats for native bees. In the Northeast, however, fields and orchards are often surrounded by plants, so native bees have plenty to eat and pollinate crops as they buzz from hedgerow to hedgerow. In a 2009 study of 11 apple farms in New York State, researchers counted 81 species of native bees. Still, many larger farms rely on honeybees. So it was alarming when, about a decade ago, beekeepers began reporting disappearing honeybee hives. Previous plagues had left dead bees, but this time the worker bees abandoned the queen and her brood. 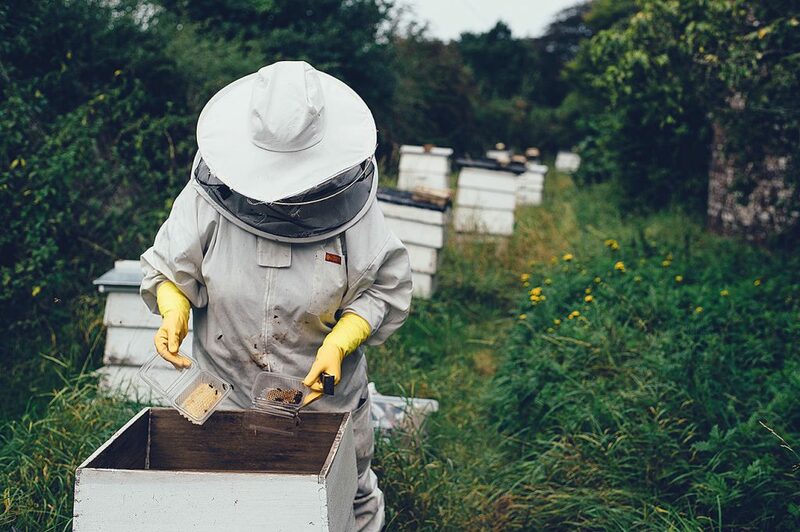 Even when a colony is left with reserves of honey, it quickly dies off without worker bees. This phenomenon became known as colony collapse disorder or CCD. 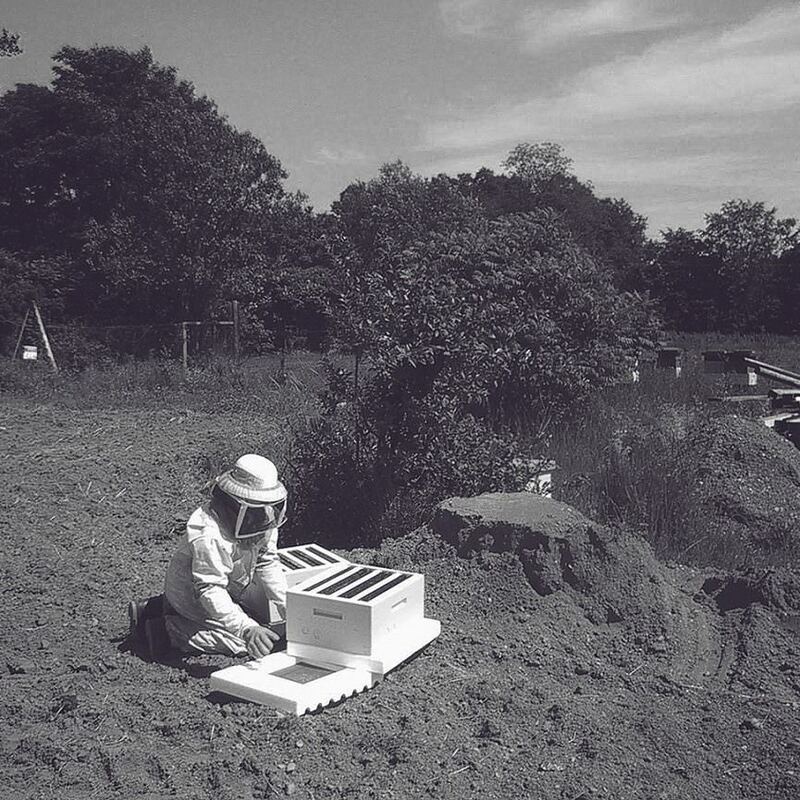 In 2008, two years after CCD was discovered, the number of honeybee colonies hit its lowest point at 2.4 million. Happily, a queen bee lays 1500 to 2000 eggs a day, making honeybees one of the most resilient species on earth. With about 2.7 million colonies in the U.S. today, honey bees are making a slow comeback, though the causes of CCD remain unclear. Scientists continue to study a variety of factors including the interplay of pesticides, mites, and other pests. 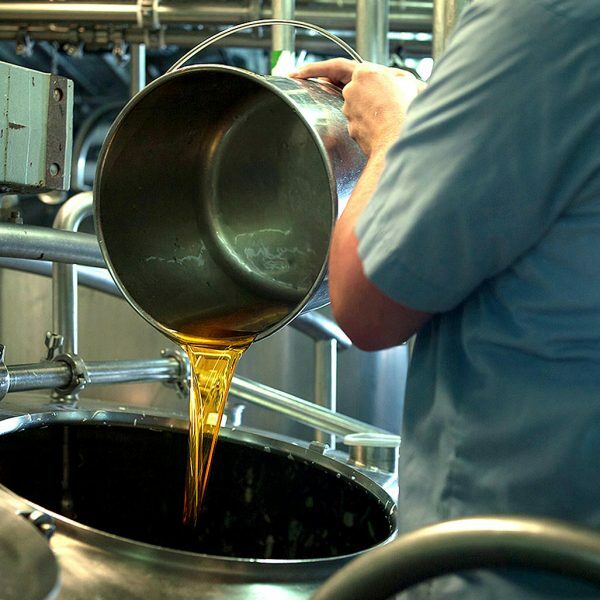 So exactly how much effort goes into making honey? Worker bees must fly 55,000 miles and visit 2 million flowers to make one pound of honey, and the average colony makes 60 to 100 pounds a year. No wonder they’re called worker bees. 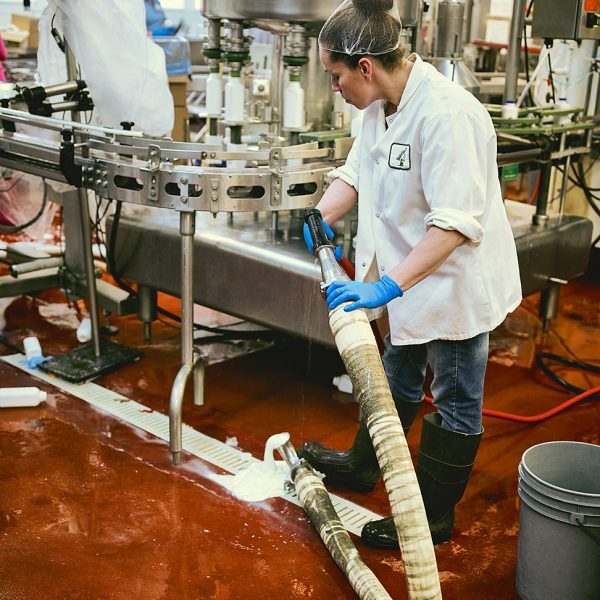 This small but mighty creature plays such a crucial role in our food system…and in making our Local Honey Yogurt and Local Honey Kefir so delicious. 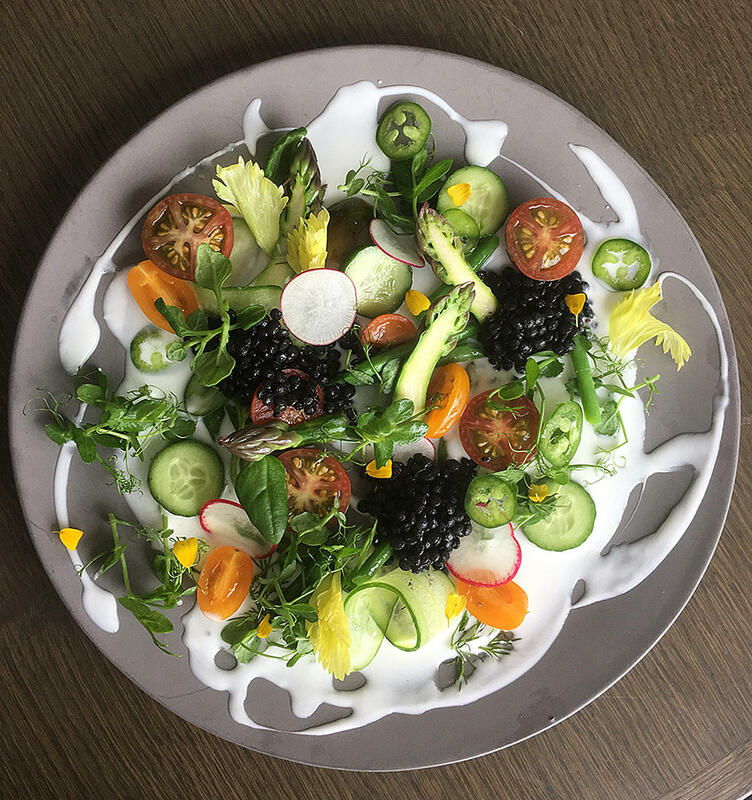 This recipe is more about the idea and less about which specific vegetables, lettuces or edible flowers you decide to use. It combines varying textures from the vegetables; smooth, refined and delicate sweet richness from the kefir; a wonderful balance of subtle heat from the jalapeno pepper; flavorful greens and strong meatiness from the lentils. I add a wonderful extra virgin olive oil and enough acid and salt to properly season all of this. Enjoy! 1. To cook lentils, simmer them in 2 cups of water with 1 tbsp salt until just cooked through and drain and cool. Set aside. 2. Wash all vegetables and cut them into desired shapes. Not all things should or need to be cut equally. Both larger and smaller chunks of tomatoes are nice to have. 3. Shave the radishes and jalapeno peppers thin enough (1/16”). 4. Blanch asparagus in boiling salted water for 15 seconds. Allow to cool before cutting into two-inch pieces. 5. Wash and dry greens with absorbent towels. 6. Drizzle a copious amount of honey kefir on your individual plates or serving platter. Separately, in a mixing bowl, add all of your greens, veggies, salt, half of the vinegar and half of the olive oil and carefully mix to incorporate and taste. Adjust the seasoning if you think it needs more of anything. In a separate bowl, add additional seasoning of oil, salt and vinegar to the lentils. 7. Carefully (or less carefully) assemble your dish to your desired effect. 8. Add on the marigold flowers last because they are incredibly delicate. Early in his career while studying Fine Dining Management, John recognized his passion for cooking and was accepted as a culinary student under Chef Andre Daguin and Chef Yves Pinard in Paris. Upon returning to the United States, John landed a job in the kitchen at UNION SQUARE CAFE under Chef Michael Romano, where he cooked for three years. From there, he worked in some of the most acclaimed kitchens on the West Coast and in New York, including GRAMERCY TAVERN and SQUARE ONE in San Francisco. 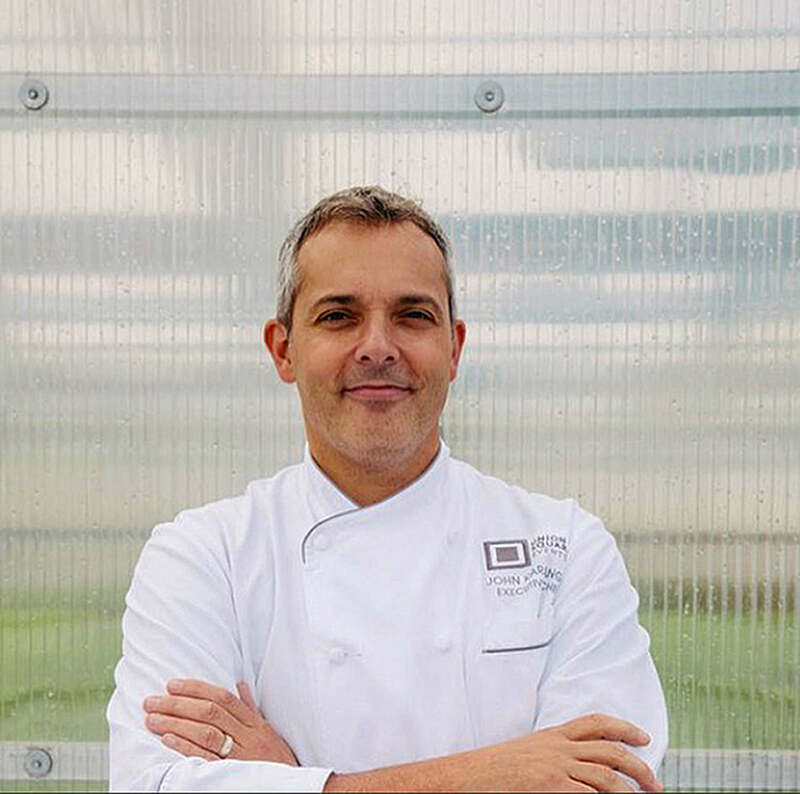 He then accepted the role of Executive Chef at RESTAURANT ASSOCIATES, and later at GOLDMAN SACHS, delivering world class dining and hospitality to an elite clientele. Returning to the culinary roots where his career began, today John brings his passion for excellence and hospitality to the UNION SQUARE EVENTS team. 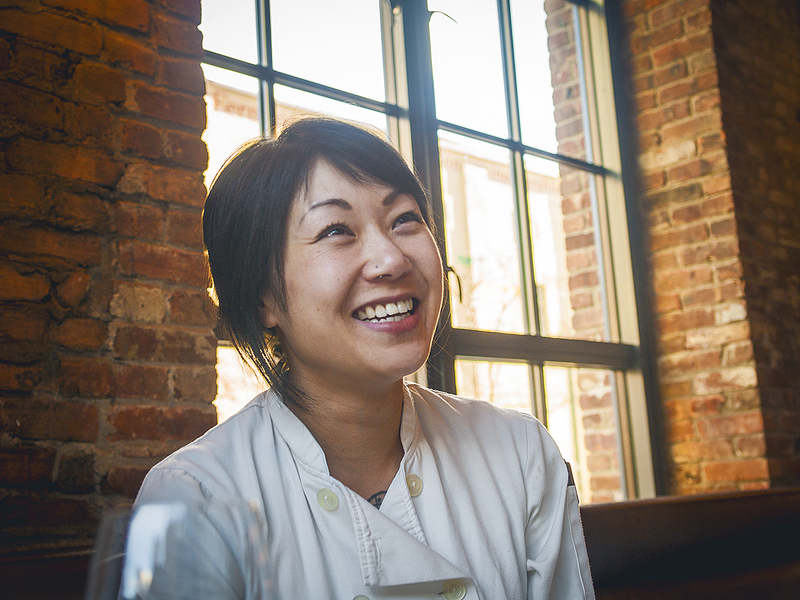 Erin is the Executive Pastry Chef at REYNARD at Brooklyn’s WYTHE HOTEL. 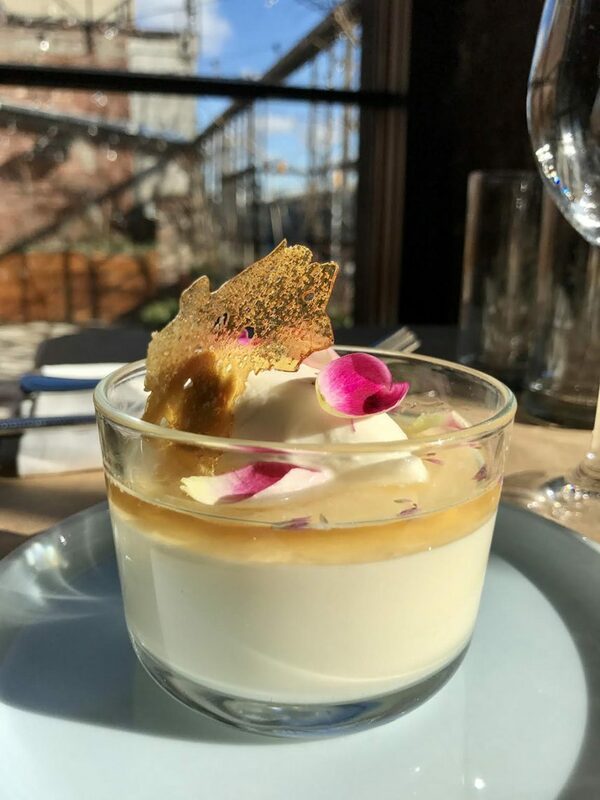 Happily for the sweet tooth, she has discovered a delicious home for FIVE ACRE FARMS local dairy products and cage free eggs in her inventive desserts, among them the Kefir Mousse she shares here. Growing up, Erin learned to love texture and technique baking with her grandmother and cooking with her father. A veteran of the teaching kitchen, she has taught baking and pastry at WESTERN CULINARY INSTITUTE, the CALIFORNIA CULINARY ACADEMY and the FRENCH CULINARY INSTITUTE (now the International Culinary Center). She joined the opening team at REYNARD in 2012. 1. Bloom gelatin in cold water by evenly sprinkling gelatin over the surface of the cold water, and let the powder sink into the water to hydrate. Don’t dump into water as a clump or the gelatin will not rehydrate properly. Let stand for 5 minutes to fully bloom. 2. Bring a pot of water to a boil and find a metal bowl that fits just over the top and traps the steam below. 3. Using that bowl, whisk together the yolks, sugar, 3 1/2 oz portion of kefir and the bloomed gelatin. 4. When pot has come to a boil, turn heat off. Place your yolk mixture bowl over top of the steaming pot and begin to whisk. 5. Whisk this mixture until it has become frothy, lighter in color and when you draw the foam on top of itself, it holds on the surface for 3 seconds. 6. Once your yolk mixture has come to a ribbon, remove from heat and transfer to a clean bowl. 7. Let this mixture sit while whipping the heavy cream to billowy, firm peaks. 8. Gently whisk remaining 9 oz kefir, lemon juice, vanilla extract, salt and citric acid into cooling yolk ribbon. 9. Once kefir mix is homogenous, gently fold in whipped cream. 10. Pour mousse into serving vessels and chill minimum 4 hours or overnight. KEFIR, first created more than 2,000 years ago in the Caucasus Mountains of Eastern Europe, is a cultured milk drink that tastes like yogurt and has the consistency of a smoothie. 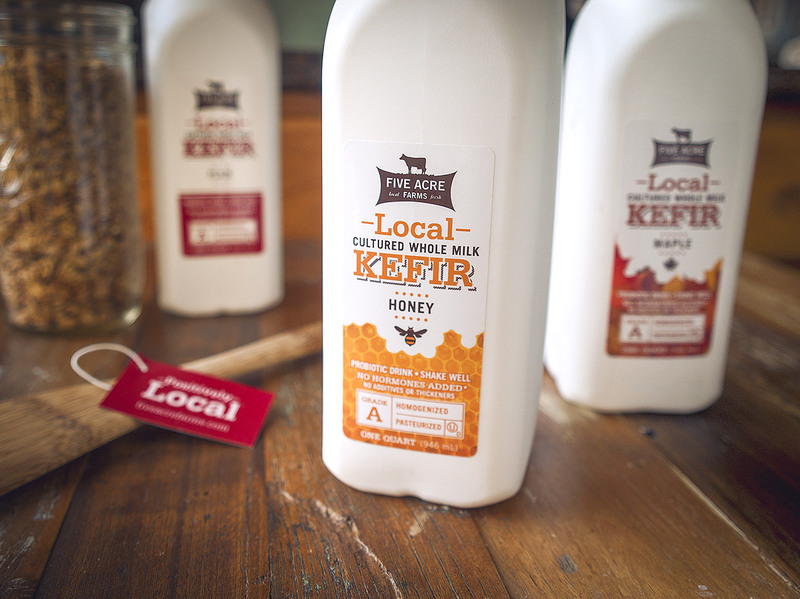 Our smooth, creamy LOCAL KEFIR is packed with healthy probiotics and comes in plain, maple and honey flavors. 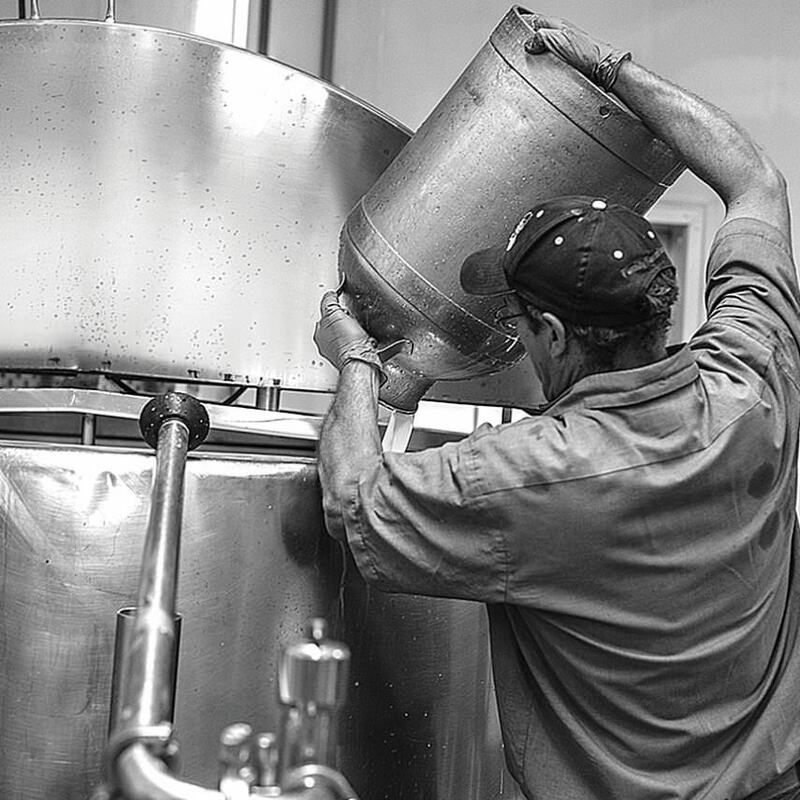 To make it, we start with the best local whole milk from cows cared for by outstanding local farmers and add 12 carefully selected live cultures. 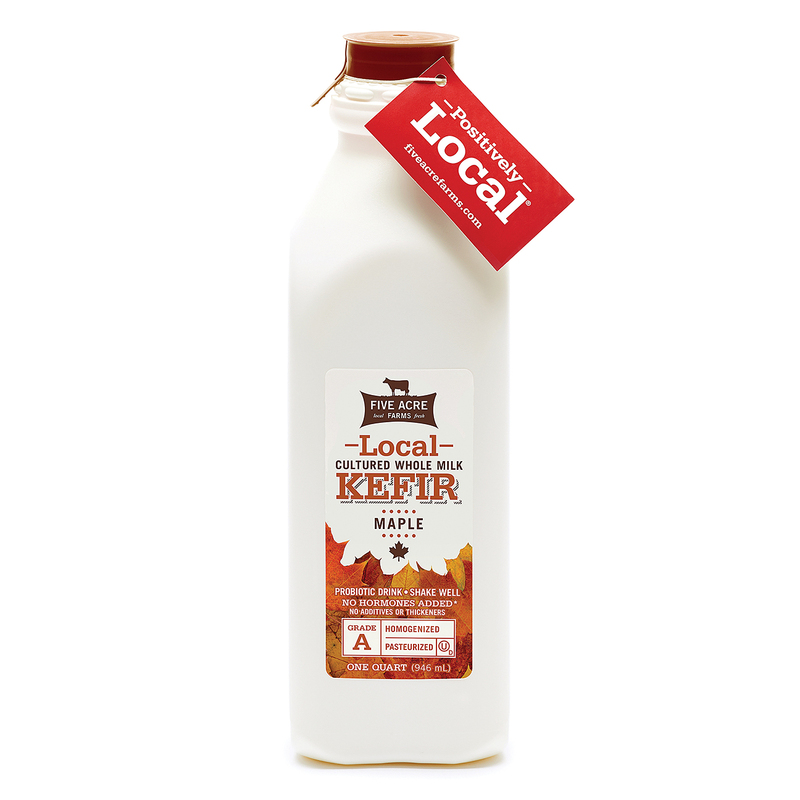 For our LOCAL MAPLE KEFIR, a 2016 SOFI AWARD FINALIST, we mix in just the right amount of pure local maple syrup, tapped from our farmers’ old stand trees, for a delicate maple flavor. Our kefir is pasteurized and homogenized, and we never use any artificial sweeteners, additives, thickeners, gums or stabilizers. 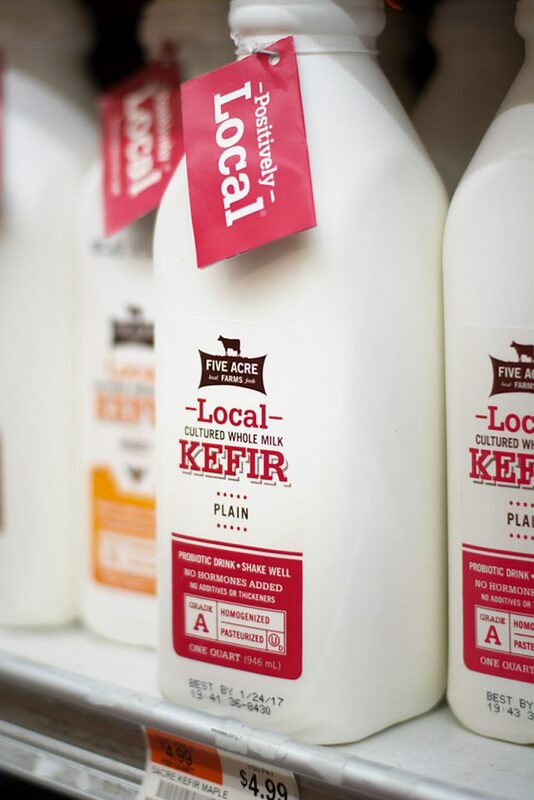 Like all FIVE ACRE FARMS products, our LOCAL KEFIR is sourced and produced within 275 miles and sold in retail locations and top restaurants throughout New York City and the Tri-State Region. 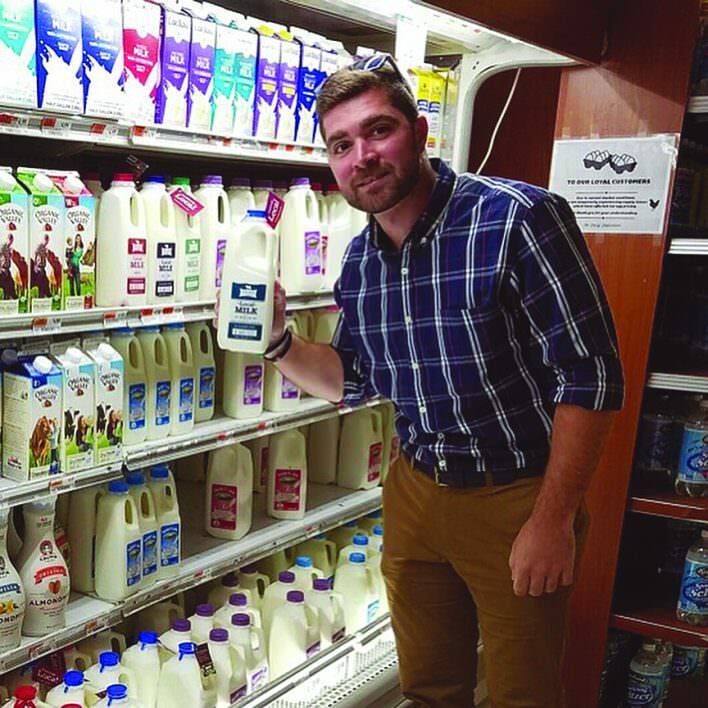 We sell Milk, Half & Half, Heavy Cream, Buttermilk, Greek and Regular Yogurts, Cage Free Eggs, and seasonal Apple Cider. Each package specifies the farm where that batch of the product was made. Is your whole milk really whole milk? 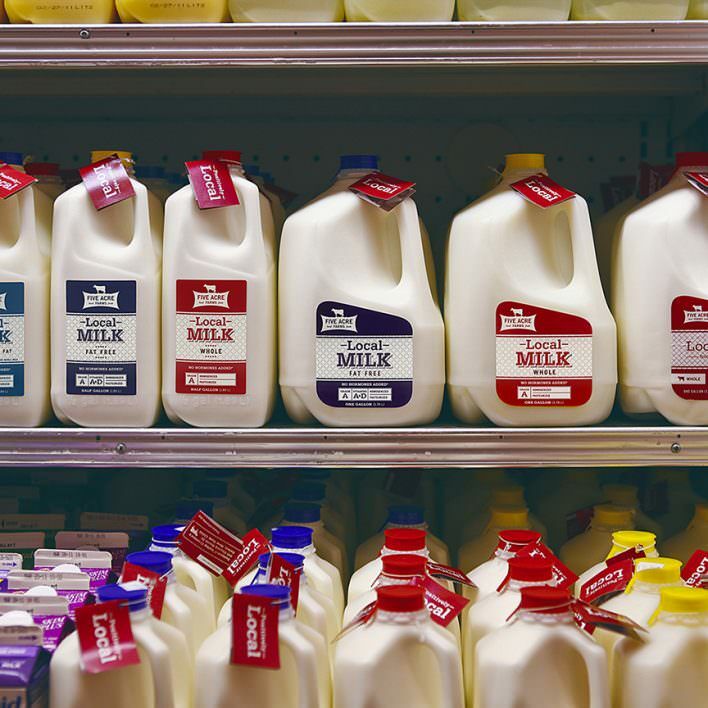 Are you ever confused by all of the different types of milk in the dairy case? Whole, 2%, 1%, 0%, reduced, skim, fat free. What does it all mean? Milk is one of our most nutrient-dense foods—with calcium, protein, vitamins A & D, to name a few of its superpowers. The amount of butterfat (cream) in cow’s milk varies by breed. 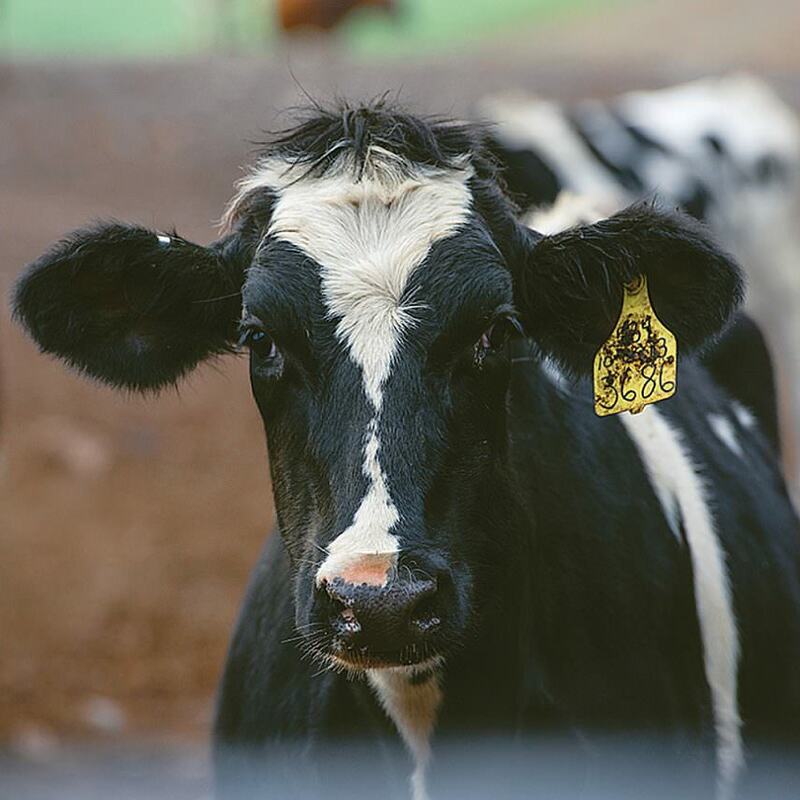 The iconic black and white Holstein produces milk with up to 4% fat while Jerseys—the ones with brown coats—produce richer-tasting milk with about 5% fat. Brown Swiss and Guernsey cows make milk that’s somewhere in between. But here’s the big milk curveball: Federal guidelines dictate the percentage of butterfat for each milk category. 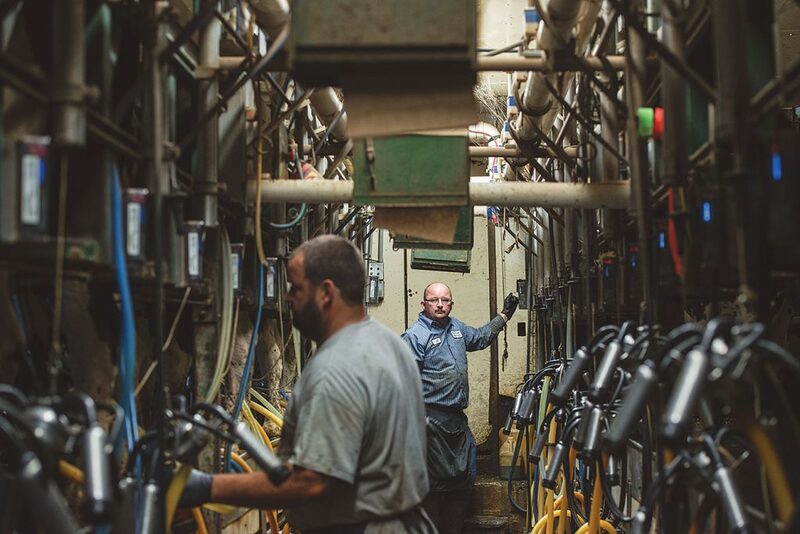 Since butterfat is very valuable, large milk processors want the federal “whole”percentage to be as low as possible. What you need to know, as a shopper, is that milk can still be labeled as “whole” even if some of the fat has been removed. That doesn’t sound like “whole” milk to us. 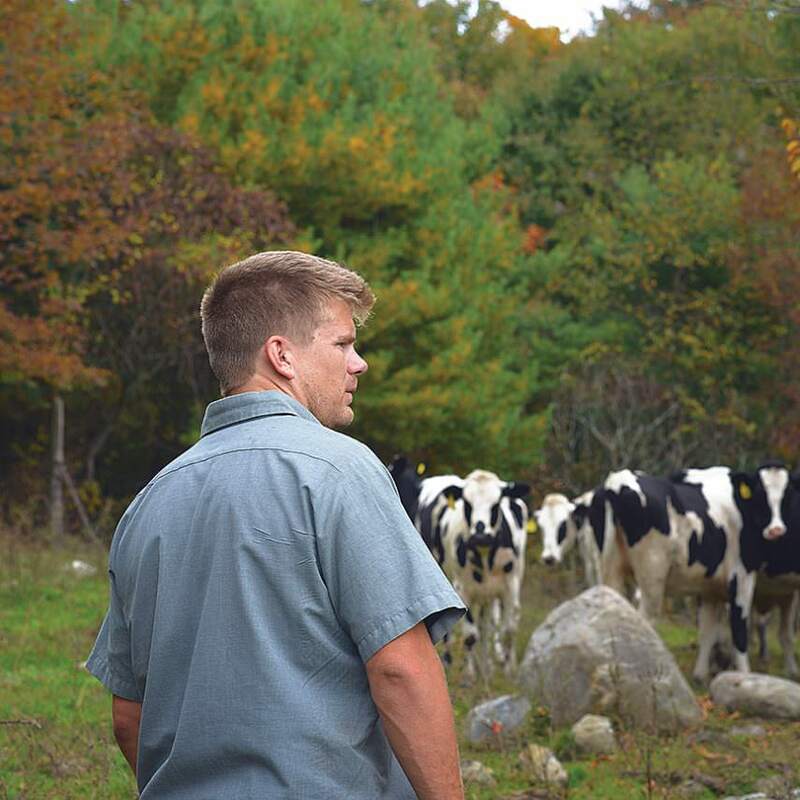 At FIVE ACRE FARMS, we look for cows whose milk is naturally high in butterfat. 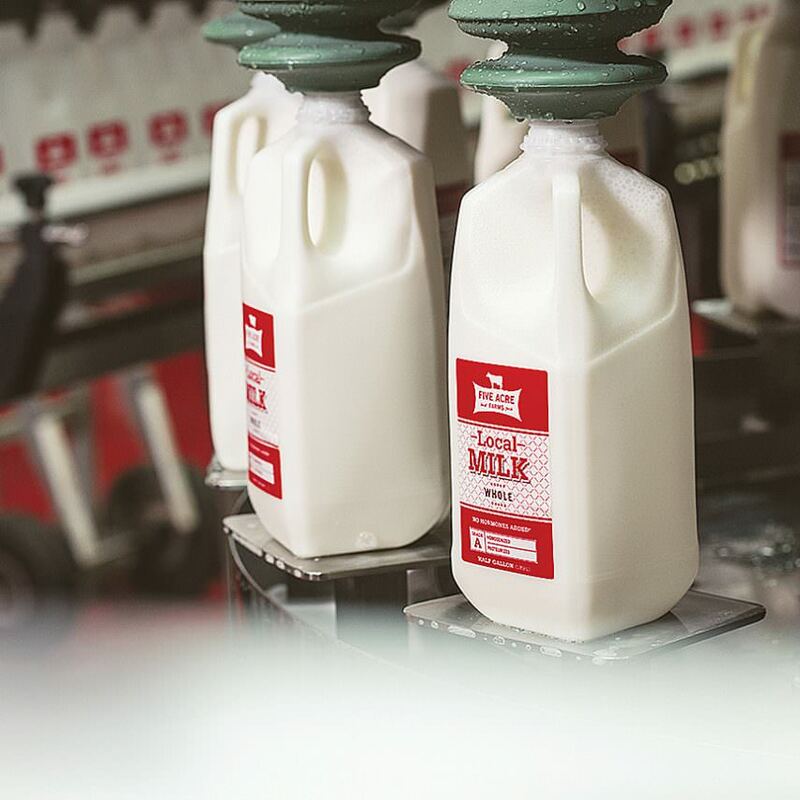 We don’t adjust the fat content in our whole milk (a process called “standardization”), and we think that’s something you can taste. 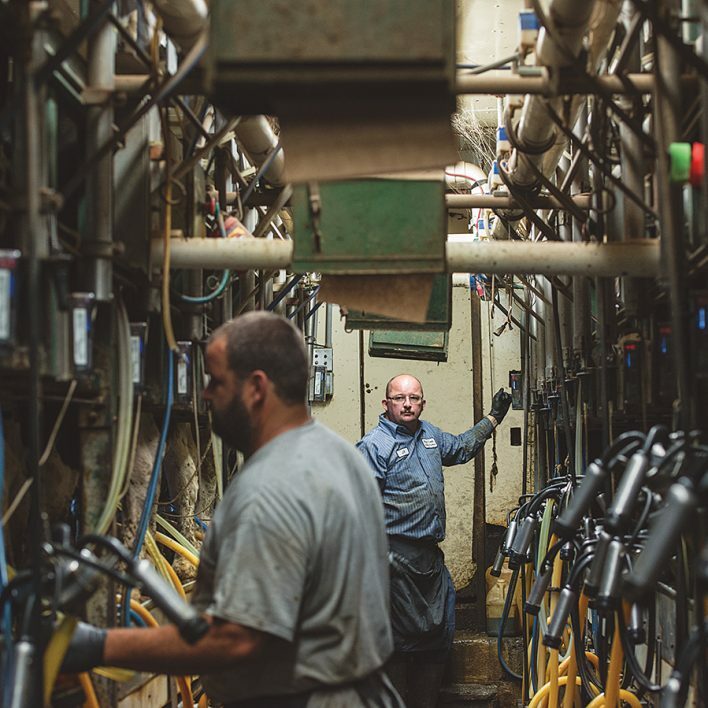 No wonder our whole milk—simply what comes out of the cow—is so popular. Taste the difference it makes in our yogurt, kefir and buttermilk—all made using our whole milk. Drop us a line at [email protected] to tell us your favorite variety and where you buy our milk, and we’ll send you FIVE ACRE FARMS swag to show our thanks. 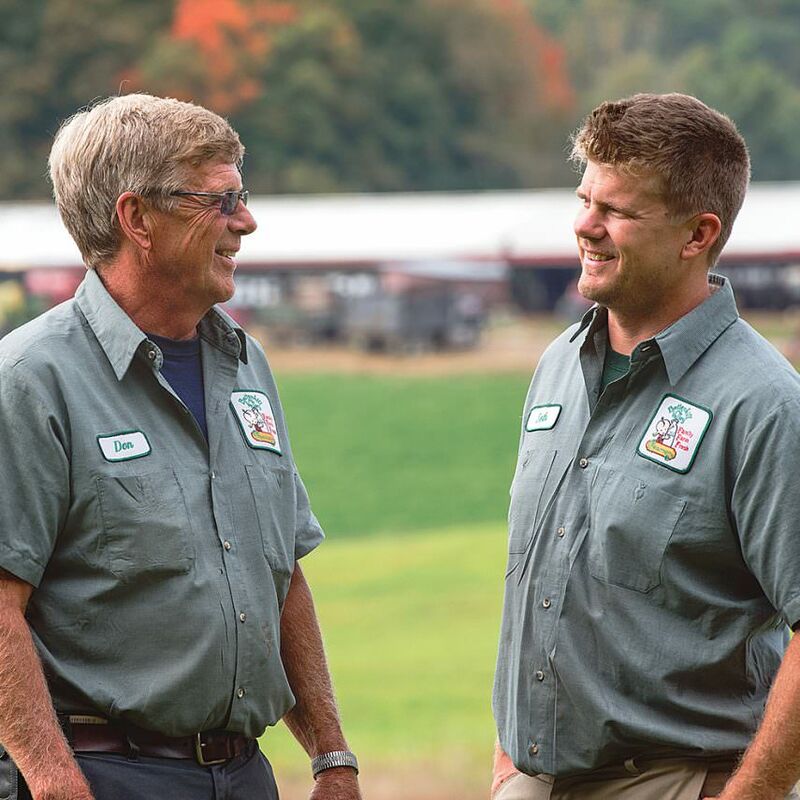 Don and Seth McEachron, 4th & 5th generation farmers, are the father-son owners and operators of Battenkill Valley Creamery in Salem, New York. 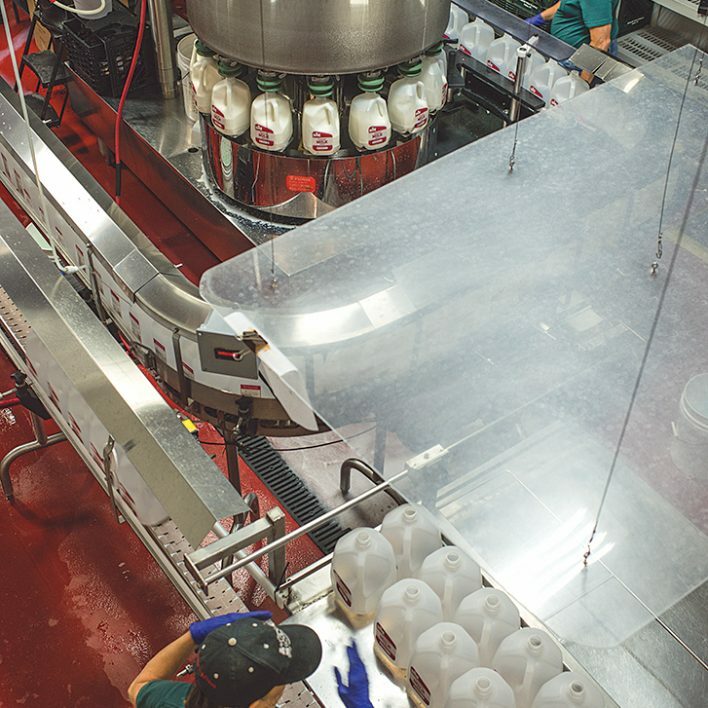 In 2010 and 2016, the McEachrons won Cornell’s top prize for the highest-quality, freshest, and best tasting milk in New York. 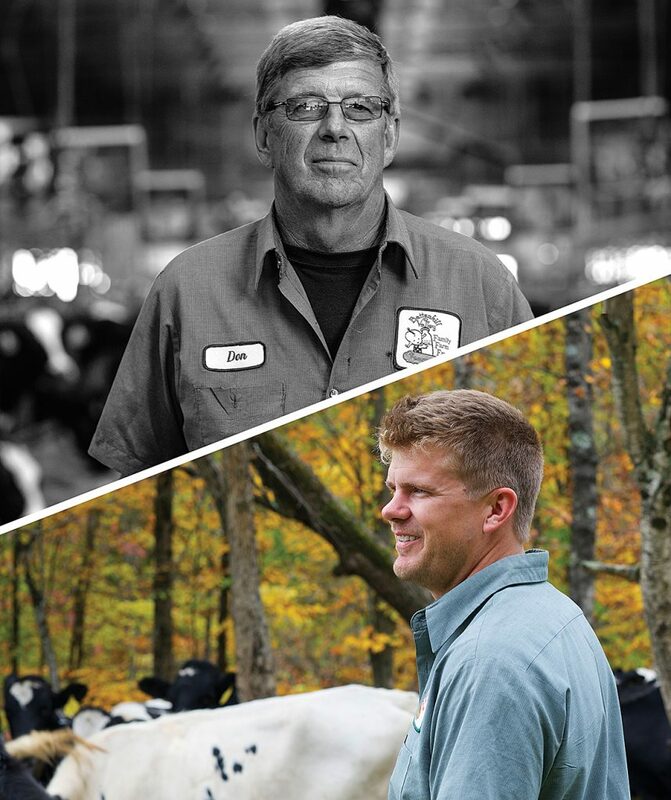 Knowing that award-winning milk starts with happy, healthy cows, Don and Seth set the standard for sustainable farming and proper animal treatment. 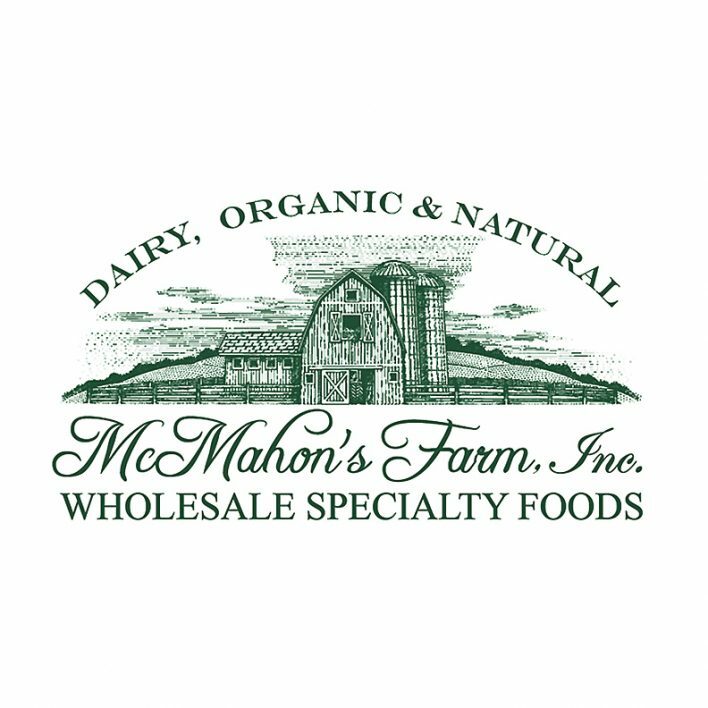 The McEachrons have been dairy farming in the Battenkill Valley region for over a century. Today, their herd numbers 350 cows of mixed breed Holsteins, Jersey, and Holstein-Jersey crossbreeds for higher butterfat content, on 1,000 acres of land. Click to enlarge the photos below and walk through a day in the life of Don & Seth McEachron. 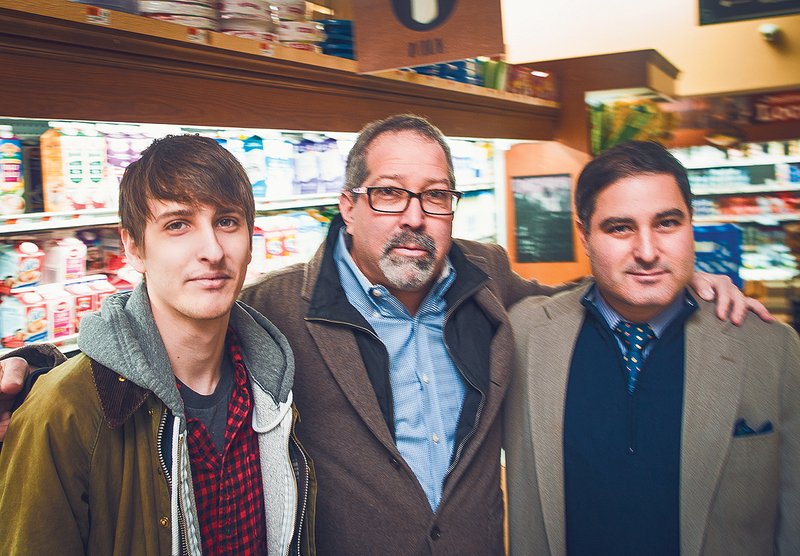 Left to right: Ivan Arguello, Jr., Ivan Arguello, Sr., and Enrico Palazio, Jr.
IVAN ARGUELLO, a 30-year veteran of the grocery business, owns KEY FOOD MONTAGUE in Brooklyn Heights. Ivan’s family has operated the store, part of the cooperatively owned Key Food chain, since 1982. Today Ivan runs the store alongside his nephew Enrico Palazio, Jr. and his son Ivan Jr. Over breakfast recently, we talked about the longevity of their family business, our shared commitment to taking local food mainstream and where the super-market business is headed. Tell us about your family’s history in the grocery business. My father came to New York from Nicaragua in 1979, in the midst of the revolution there. He started working in construction out on Long Island, and then purchased the store in Brooklyn Heights in 1982. He found the right people to run it, and learned everything he needed to know about the supermarket world from them. My brother-in-law Enrico Palazio, Sr. and I took over the business when my father passed away in 1994. I’ve always felt at home here. It’s a great community that appreciates the value of having a quality supermarket in the neighborhood, and we have many loyal employees, some who have been with us for 30 years. We owned a second store, in the Bronx, for a while, but ultimately decided to focus all of our time and attention on making the Brooklyn Heights store the best it can be. My wife Mary Elizabeth and I live in New Jersey now, but I love Brooklyn Heights. The store is my second home. 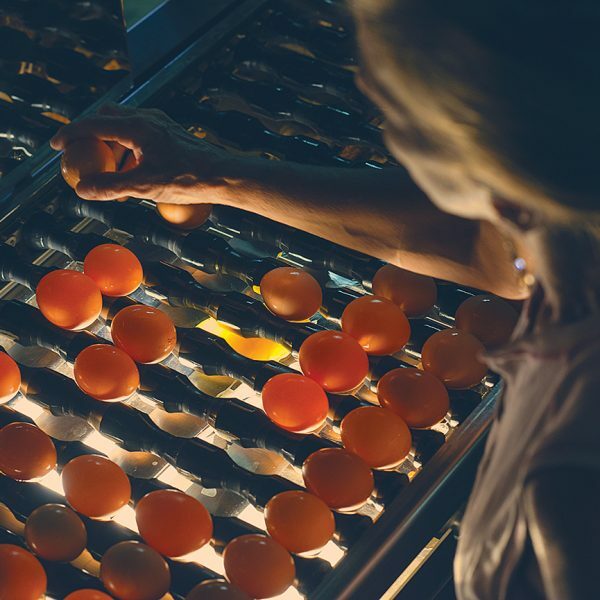 Consumers today are much more informed about food and demand higher levels of service, convenience and transparency from their sources and grocery stores than ever before. Their interest in local food continues to grow, and we dedicate ourselves to finding the best sources from around the region. That inspires our focus on quality, the products we offer in the store and how we present them. We work hard at getting that right. It means a lot to us that customers continue to support their local family-run supermarket. How have you responded to these developments? We talk with our customers all the time, ask for their input and anticipate broader consumer trends. It’s important to listen to the younger generations. I see that they’re eager to try new foods. Knowing how they shop has changed how we think about selling food. Enrico and Ivan Jr., our store’s third generation and younger consumers themselves, have helped with this. In 2015, we collaborated with a group of Fordham business school students to analyze consumer and market data and identify changes we needed to make to better serve our customers. Those adjustments, which we’ve implemented over the past couple of years, have been very successful. What are some of those modifications? We focused on product sourcing, store remodeling, and product presentation to ensure the best food and fit with our customer. We opened a new kitchen and hired a professional chef to develop recipes so we could offer a broader array of prepared foods. We now have a farm stand look that sets our produce department apart. Ivan Jr. has a knack for spotting trends, and he’s always out foraging for the tastiest, highest-quality local products. Enrico is involved in the deli and cheese departments and keeps the operations and finance side of things running smoothly. How did you find FIVE ACRE FARMS? I’m proud to have been among the first to discover and carry FIVE ACRE FARMS. 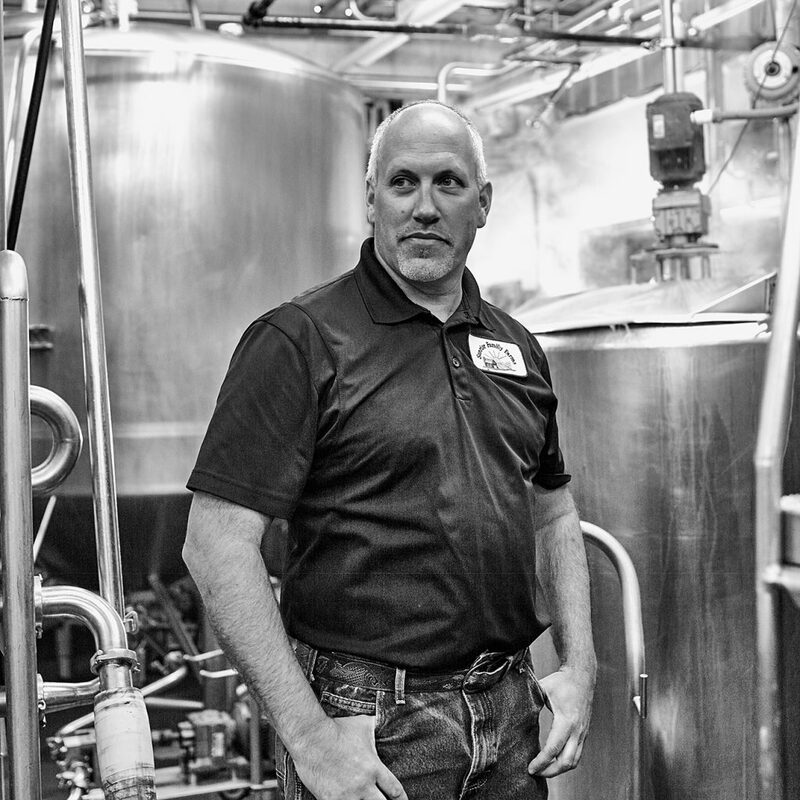 Dan (Dan Horan, Five Acre Farms Founder & CEO) lives in the neighborhood and has long been part of the community. Like KEY FOOD MONTAGUE customers, I believe in your company’s mission and want to support the region’s outstanding farmers. 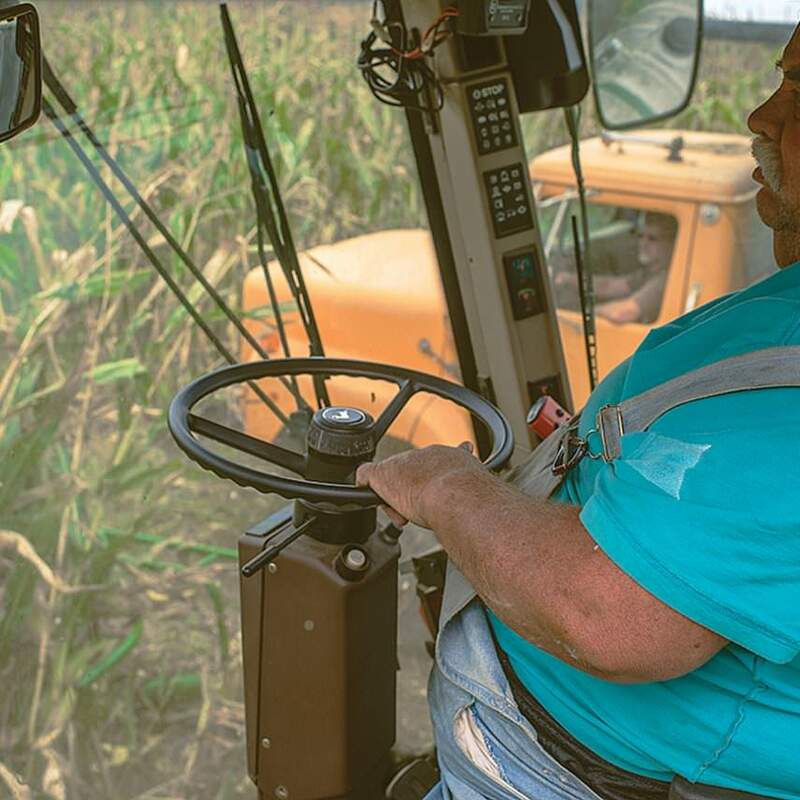 I know from talking with our customers that they recognize that local farmers and businesses need our support to thrive and grow and want to do their part to make that happen. What makes your partnership with FIVE ACRE FARMS work so well? To me, the foundation of our productive working relationship is our shared belief in the vital role local food plays in building community and the local economy. FIVE ACRE FARMS really knows local food. You provide great-tasting, high-quality local products. You connect us to our farmers by telling us about them and where our food comes from. You show that you really care about our store. 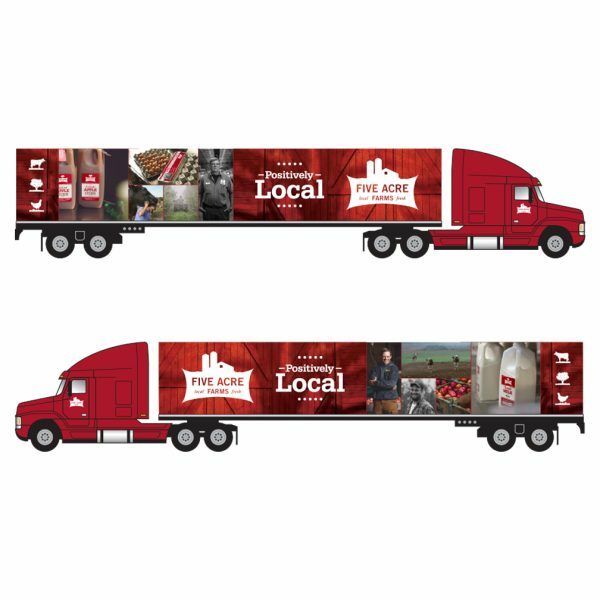 There aren’t many companies out there that offer your level of service, that send ambassadors into the store, like you do, to visit, talk with dairy managers and introduce your products to customers. What do you like to eat at home? I eat very well at home… steaks are definitely a favorite. We enjoy many cuisines from around the world. And my wife always asks me to bring home FIVE ACRE FARMS Maple Greek Yogurt. That’s what she serves when her friends come over for breakfast. They just love it! 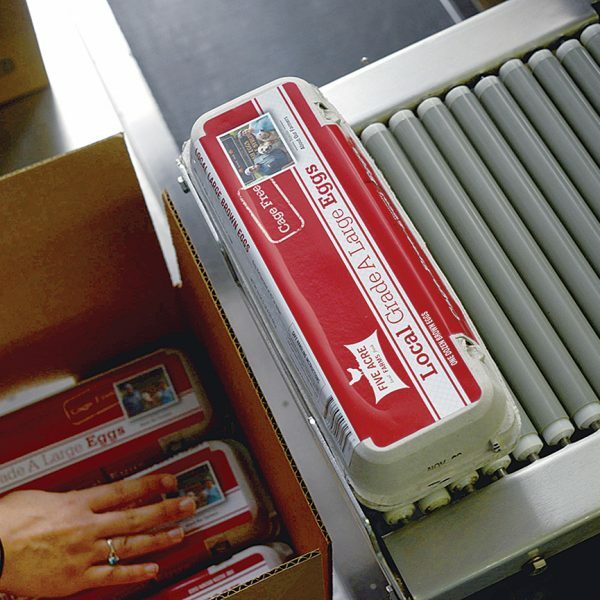 Click to enlarge the photos below and follow the steps it takes to get our cage free eggs to you. WHAT IS FIVE ACRE FARMS? FIVE ACRE FARMS brings the best-tasting local food to grocery stores, restaurants and food shops. We find outstanding farmers using sustainable practices, pay them fairly and tell their stories. 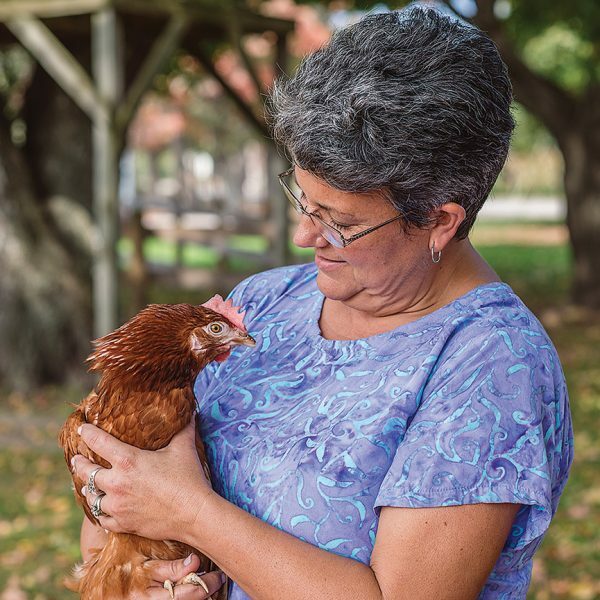 Our business helps to create new jobs and promote the local economy, expand access to local food, safeguard the environment, preserve farmland, protect groundwater and foster proper animal treatment. We call this being Positively Local®. 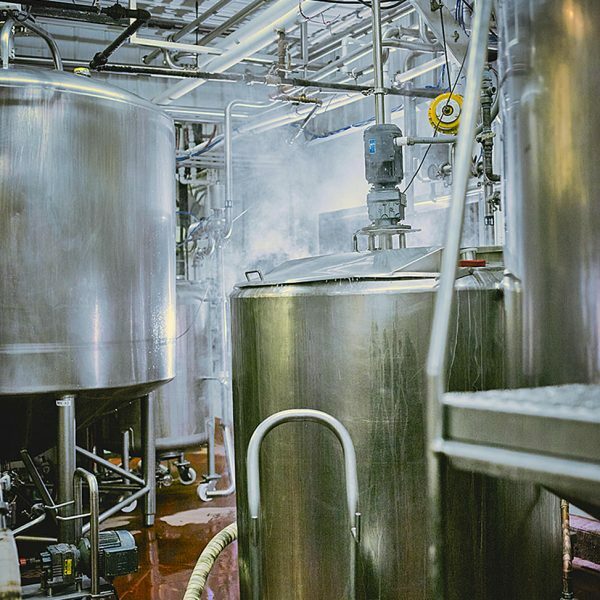 Sourced and produced within 275 miles, our products are sold in retail locations and top restaurants throughout New York City and the Tri-State Region. We sell Milk, Half & Half, Heavy Cream, Buttermilk, Kefir, Greek and Regular Yogurts, Cage Free Eggs, Apple Juice and seasonal Apple Cider. 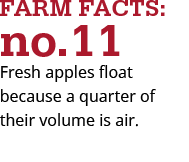 Each package specifies the farm where that batch of the product was made. We pay our farmers fairly—and directly —a price that’s above the market rate and reflects what it costs them to make high-quality food, hire and treat people properly, take care of their animals and protect the environment. We bring the best local food to grocery stores and price our products so as many people as possible can buy fresh, quality local products. 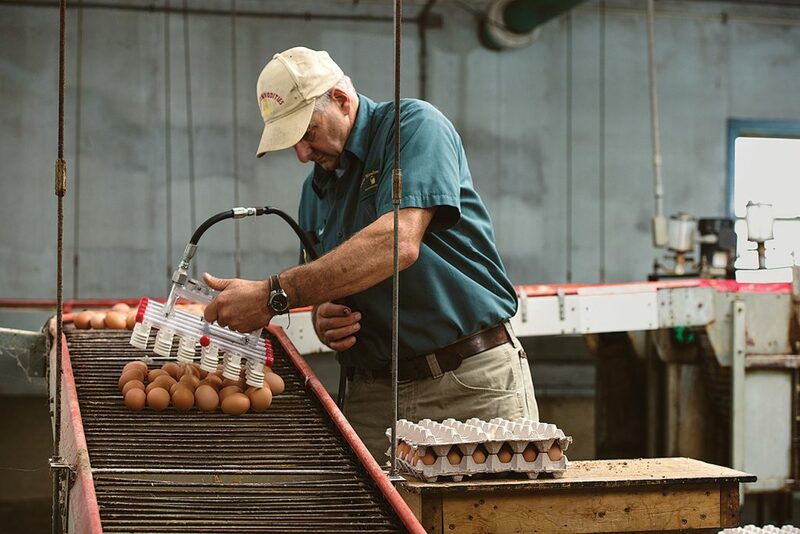 At FIVE ACRE FARMS, we tag all of our products, so you know exactly where your food comes from and can be sure that the farmers who made it adhere to sustainable practices. We vet them so you don’t have to. We create jobs across the region by partnering with local farmers and processors and doing business with local vendors. 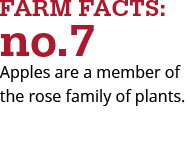 Our farmers have higher standards when it comes to our founding principles of protecting groundwater, replenishing soils and conserving energy. 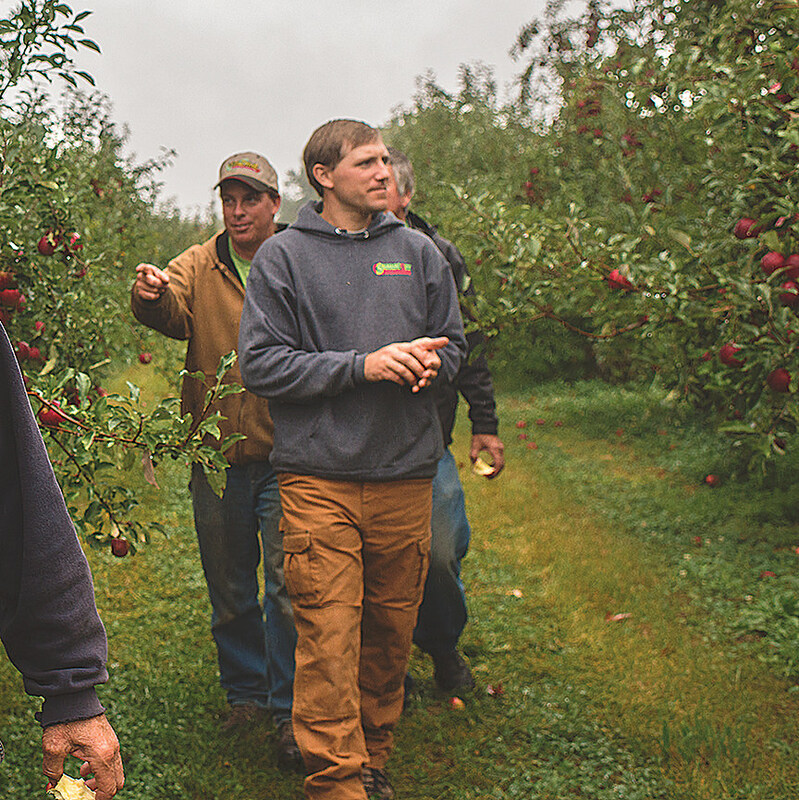 Through our work with farmers, we are supporting more than 5,000 acres of farmland in New York, Massachusetts. Connecticut, and Vermont. It’s been more than 20 years since Dan first had the idea that became FIVE ACRE FARMS. At the time, he was running WALDINGFIELD FARM, the organic produce farm he founded in Washington, Connecticut in 1990. 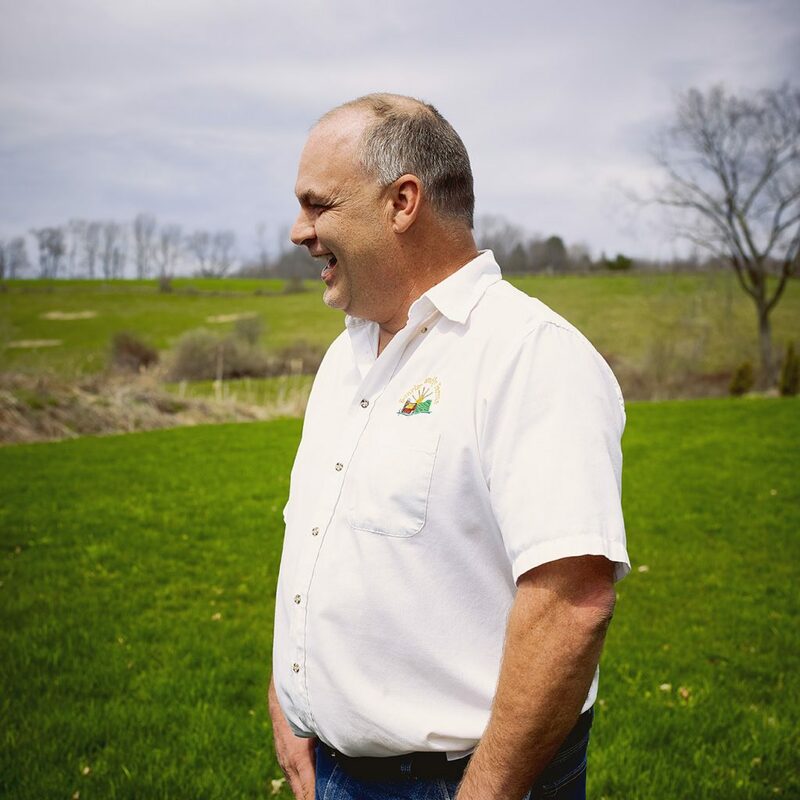 Back then, Dan envisioned a company that would own or franchise a number of five-acre farms along the East Coast, working closely with farmers to market the food they produced. (Why Five? You can produce a huge amount of food and operate a viable business on just five acres of land.) Dan’s original business plan became part of his application to business school, but that was not the end of it. Over the years, while getting an MBA and then working in the grocery business and restaurant management in New York City, Dan continued to refine his concept. He ultimately concluded that FIVE ACRE FARMS could make local food available to more American consumers, and in doing so support a greater number of responsible farmers, by partnering with, rather than owning, farms. Click to enlarge the photos below and walk through a day in the life of Jake Samascott. 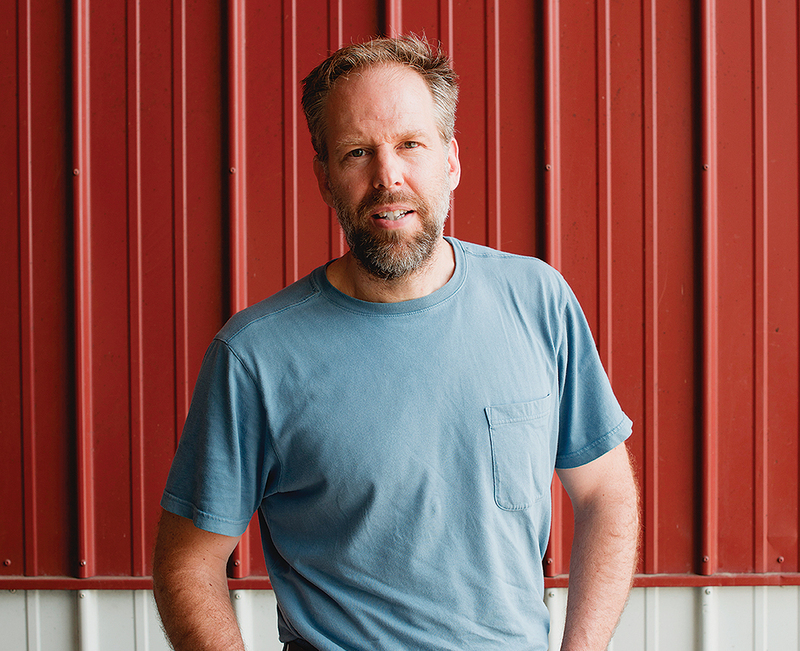 DAN HORAN founded FIVE ACRE FARMS in 2010 to keep farmers farming and expand access to the region’s best local food. 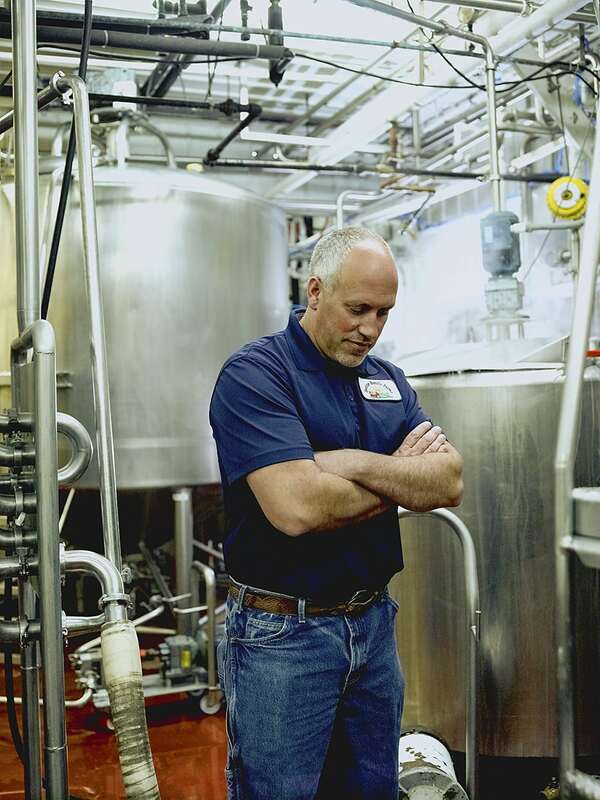 In this interview, he offers his perspective on the company’s mission, its work to bring local food into the mainstream and what it means to be Positively Local®. 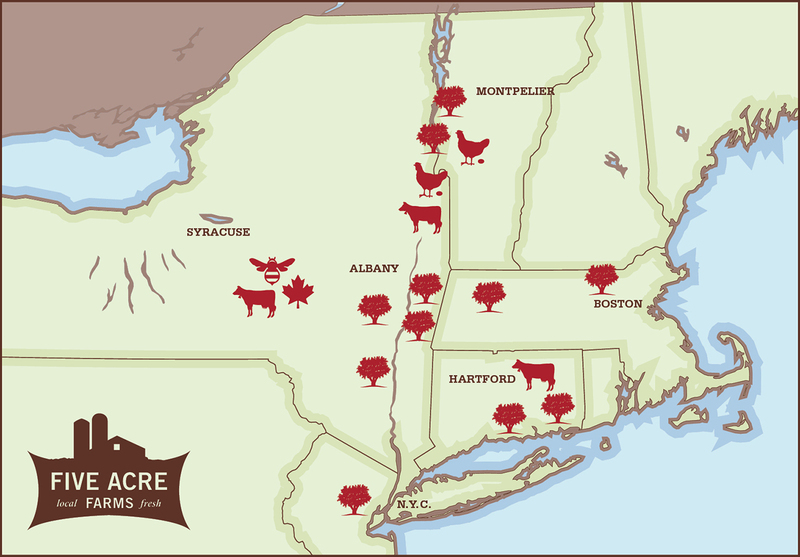 How does Five Acre Farms define local food? The way we look at it, local is about more than just distance. Local means knowing where our food comes from and what practices and processes were used along the way. It means paying farmers fairly to support their responsible farming and business practices. Local means growing the region’s economy and actively participating in the community. It means restoring the connection between farmer and consumer. We like to call this being “Positively Local®”. What distance is considered local? Is it 50 miles—or 500? Some people say 50 miles. Others say 500. 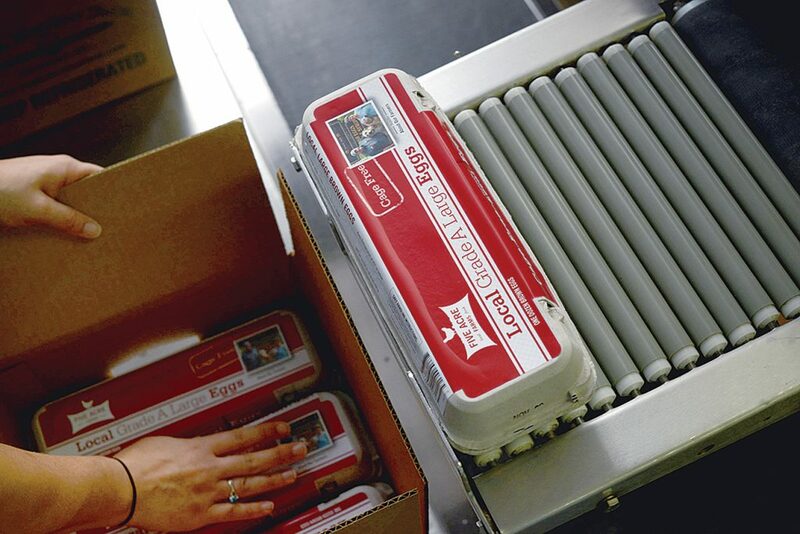 Under the federal food safety law, local food is produced within 275 miles of where it’s sold. We think that makes sense for the Northeast, though to us, mileage is just one aspect of local. So much goes into growing, processing and distributing food that it’s more realistic to think of that effort as regional rather than going on only within the borders of your own state. How do you select your participating farmers? 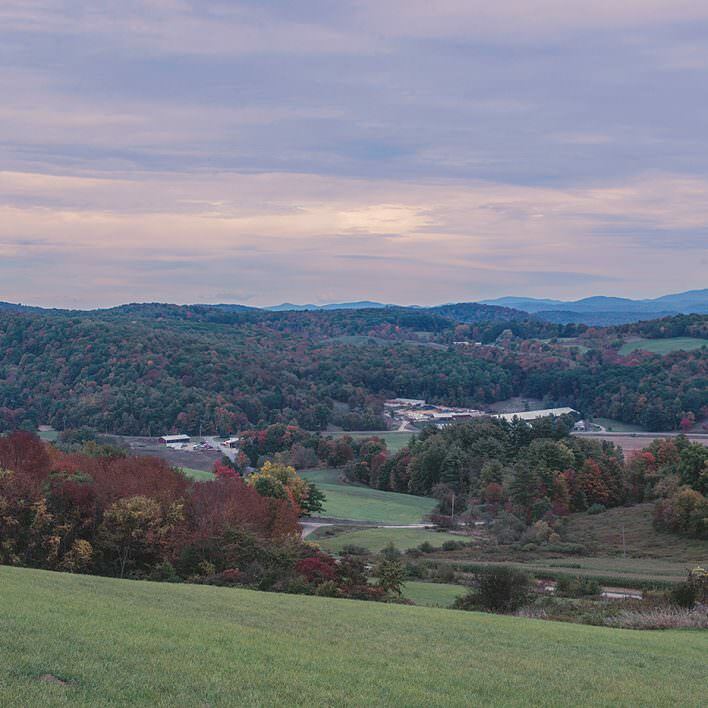 We travel around the Northeast, meeting with farmers and introducing ourselves, FIVE ACRE FARMS and how we work. Once we identify a prospective partner, we make a number of farm visits and learn about their farming practices and processes. We take our time to make sure that we have the shared vision and goals needed for a successful partnership. Isn’t the farmers’ market the place to buy local food? I love farmers’ markets. Having started my career as an organic farmer, I learned my first lessons in sales at farmers’ markets and always encourage people to buy directly from farmers. I also believe in keeping farmers farming by making their products more broadly available to consumers. FIVE ACRE FARMS helps farmers get into the mainstream, beginning at the supermarket—where Americans spend the most time food shopping. Is it possible to buy local food year-round? 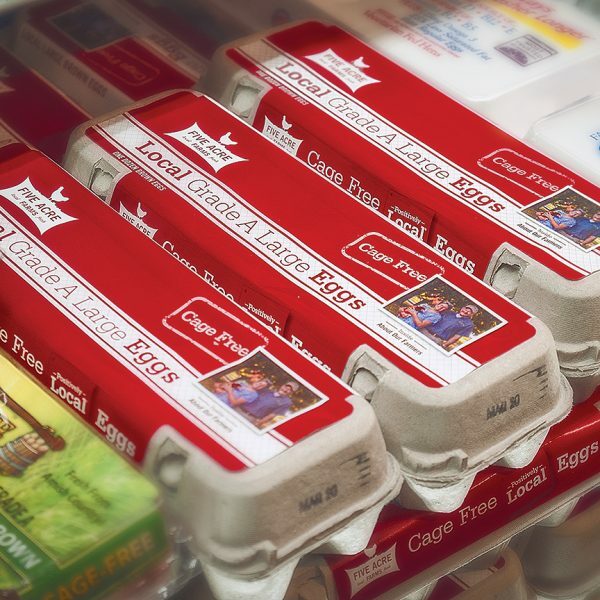 While it can be a challenge to buy local all year long, you should be able to get local milk and eggs throughout the year regardless of where you live. 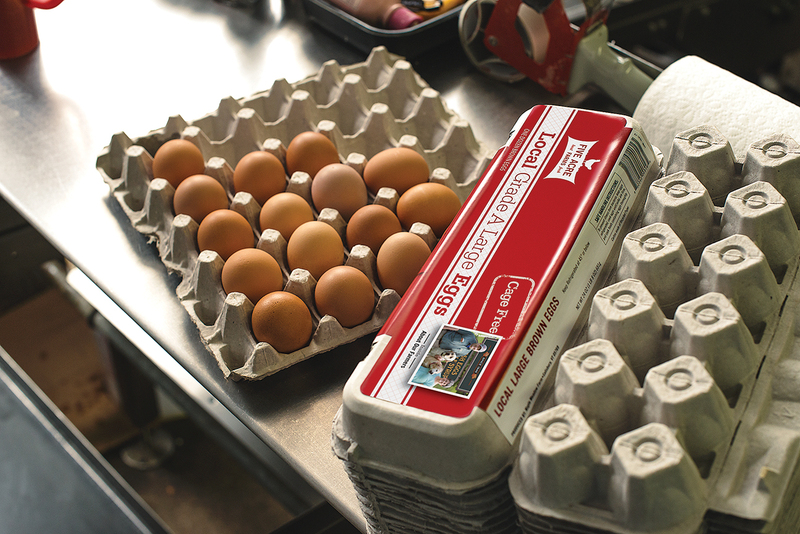 Take advantage of that to buy the freshest milk and eggs you can get your hands on. You’ll taste the difference. Other possibilities will vary by region. In the Northeast, where I live, I can buy local apples and root vegetables year-round. How can I make sure that my neighborhood supermarket carries local food? Hopefully, you’re noticing more and more local tags and labels in your store. If not, ask the store manager to buy local. Be sure to mention specific local items that you and your family like. 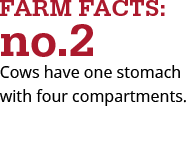 Give the store leads by telling them about your favorite area farms. In my experience, grocery stores appreciate and respond quickly to this kind of input. If your store already has a local buying program, applaud its efforts, help spread the word and offer feedback. There are so many products and claims out there. What’s your advice for making good choices when shopping local in the grocery store? The key is to know your sources as much as possible. Start with a couple of items, and learn where they come from, who makes them and exactly how they’re handled. If you know the farmer, then you’re well on your way to being able to make a good decision. Sometimes information about the source is purposely hidden from you, and you’ll be able to tell when that’s the case. 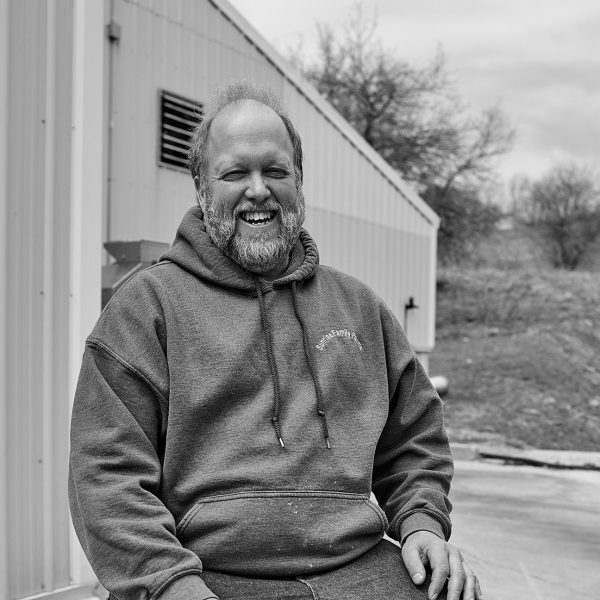 Knowing that we all lead busy lives, FIVE ACRE FARMS tries to make things simple. When you see our label, you know where your food comes from. You know that it’s local, delicious and healthy. You know that, because we vet our farms carefully, the farmers who produced it treat their animals properly, care for their farmland and groundwater and conserve energy. We do the legwork for you. 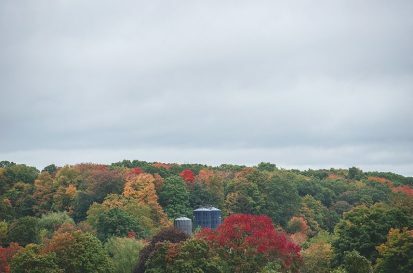 Where can I find Five Acre Farms outside the grocery store? Our focus has always been, as we sometimes put it, bringing the farmers market to the supermarket. We’re also finding a wealth of opportunities to build on that focus by being the local solution in other places as well—like, for example, coffee shops and restaurants, including the new Kellogg’s NYC cereal café in Times Square. We even have local flying at 35,000 feet, where our products are used by UNION SQUARE EVENTS in creating in-flight menus for DELTA. We’re bringing local food into the mainstream where it should be, making it part of our everyday lives. Click to enlarge the photos below and follow the steps it takes to get our milk to you. agriculture noun: the science, art, or occupation concerned with cultivating land, raising crops, and breeding, and raising livestock; farming. 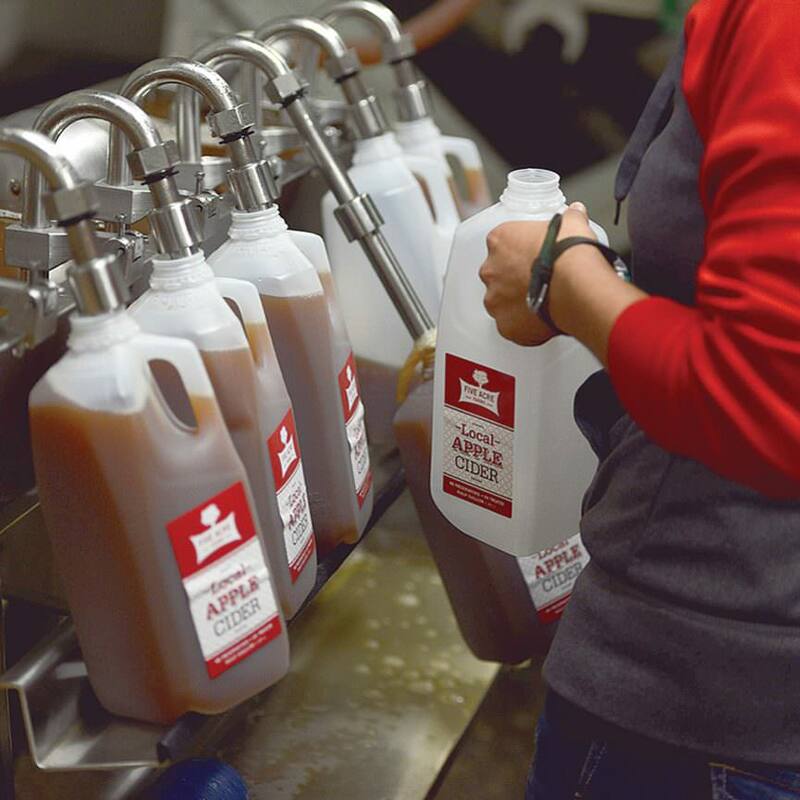 The next time you reach for a jug of FIVE ACRE FARMS apple cider, look for signs of variations in the apple harvest that naturally occur from year to year. What’s distinctive about the early fall local apple harvest in the Northeast this year? 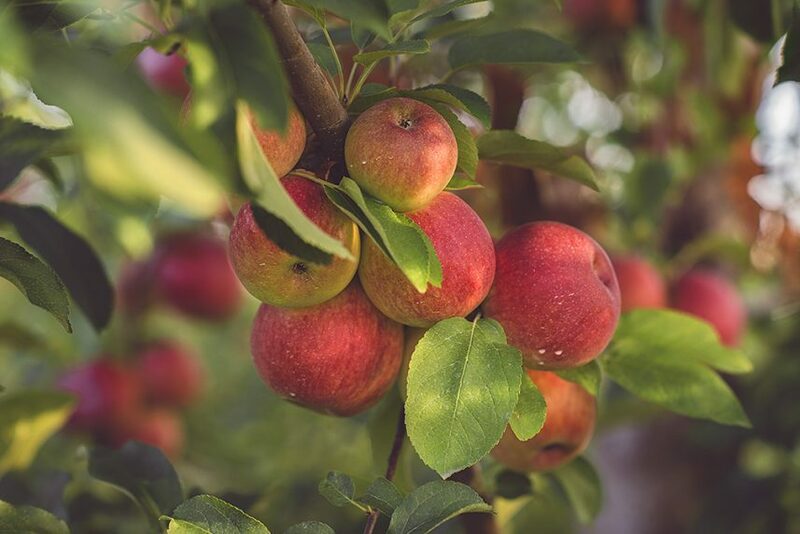 Due to the unusually dry, warm weather of late summer and early fall, many apples in our region ripened before developing the deep red skin color we’re used to seeing. The lack of water also concentrates the fruit’s natural sugars, making this year’s cider apples especially sweet. The lighter complexion can be seen in many varieties with Macintosh being the best example. 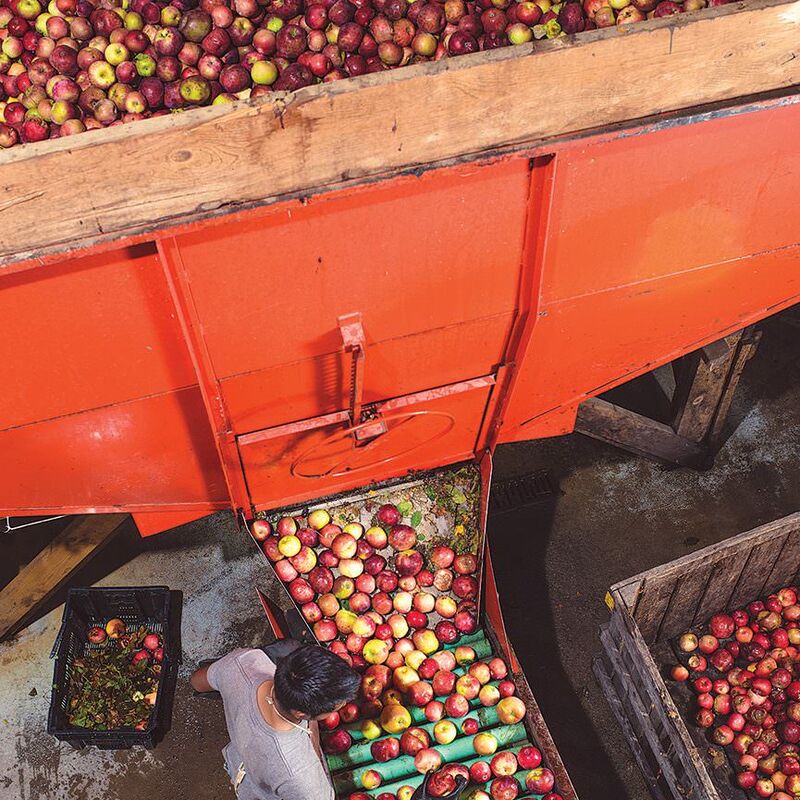 Macs, the traditional New England base for cider, are green apples that rely on crisp, cool nights and adequate moisture to develop their red color just before ripening. 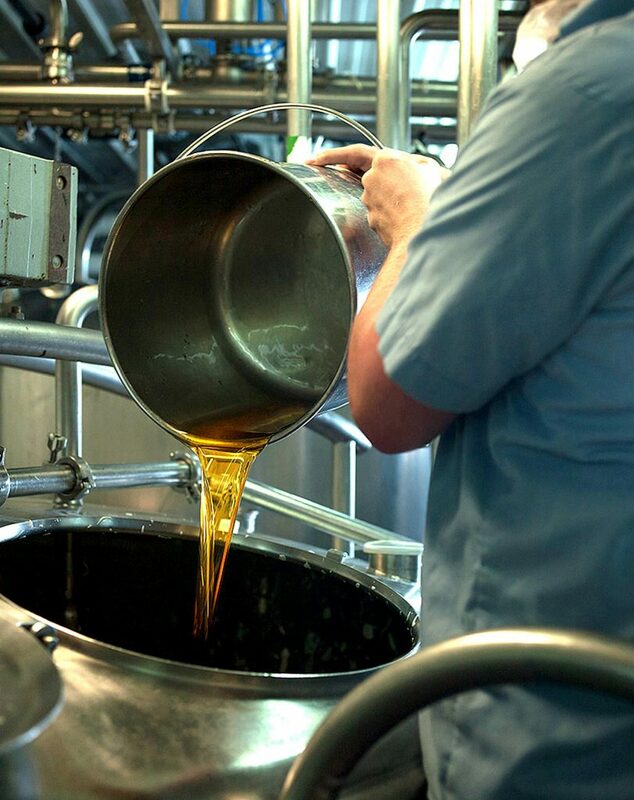 (To make our cider, we blend a base of Macs with up to 20 other varieties.) 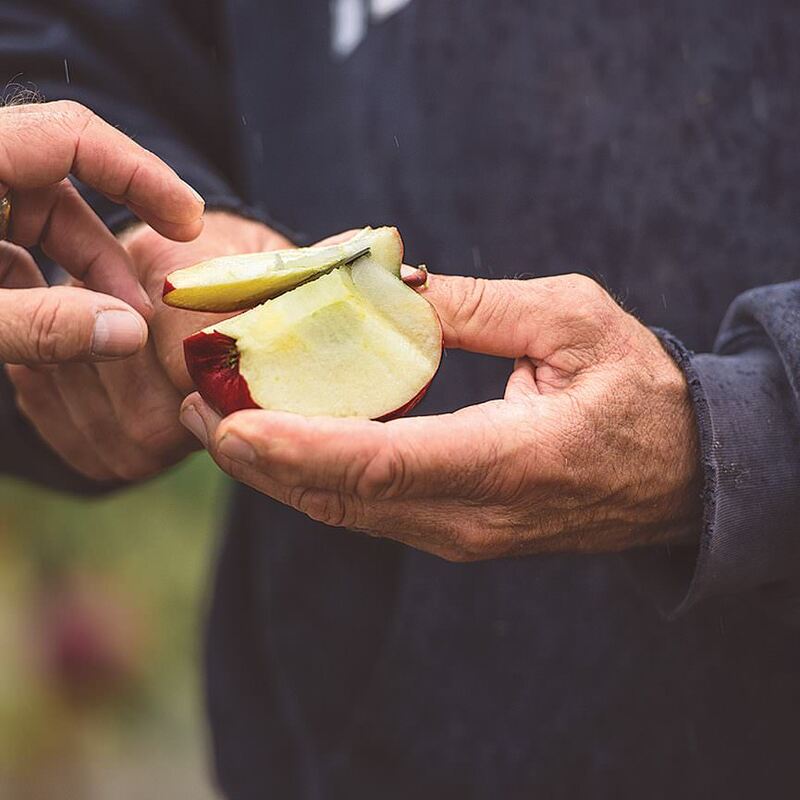 Happily, these climate-related fluctuations don’t change the great taste of our local apples, producing a sweet, crisp cider that’s as delicious as ever. 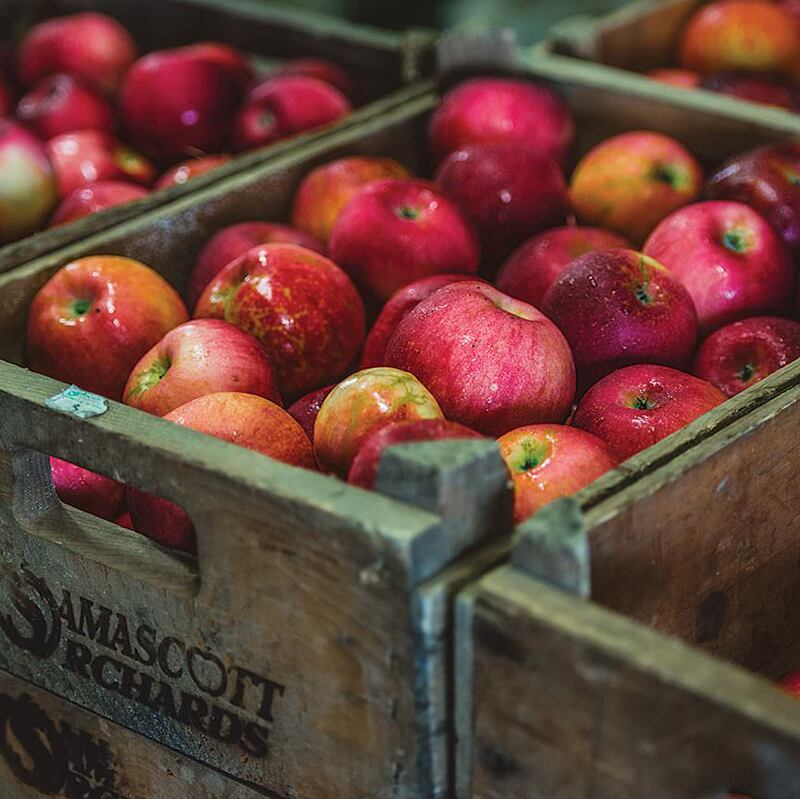 And whether they’re deep red or a subtle pastel, local apples are the only ingredients in FIVE ACRE FARMS cider, with absolutely nothing added. 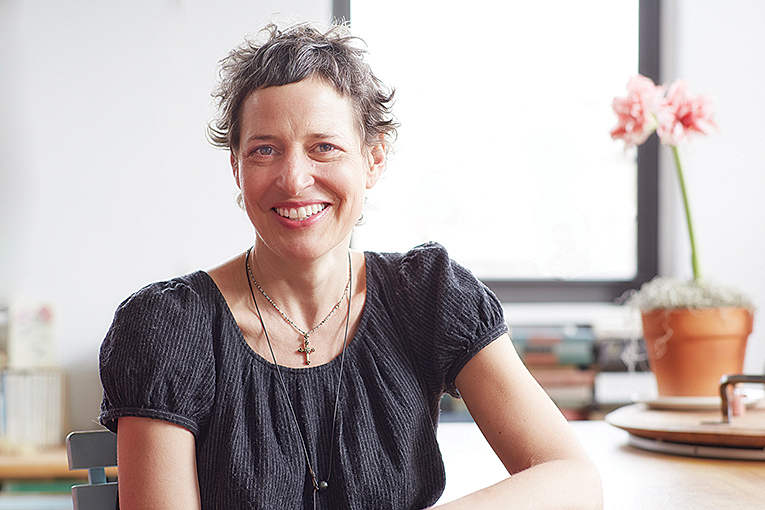 Our friend Frances Boswell is one part of the talented pair behind Kitchen Repertoire. On their blog, Frances, a food editor and stylist, and Dana Gallagher, a photographer and creative director, share their love of food, cooking and visual story telling and offer culinary inspiration from everyday life. Learn more about Frances and Dana and discover new recipes at kitchen-repertoire.com. Combine cumin, peppercorns, coriander, cardamon, cloves, cinnamon, bay leaves and nutmeg in a spice grinder and work to a powder. Brush pork with 1 tablespoon olive oil and season well with spices, salt and some fresh thyme. Refrigerate about 1 hour. Heat oven to 425º. Strew bottom of dutch oven with onion, carrots and garlic to create a bed for pork. Add cider. Set the pork shoulder, fat side up, over vegetables and cider and place in oven. 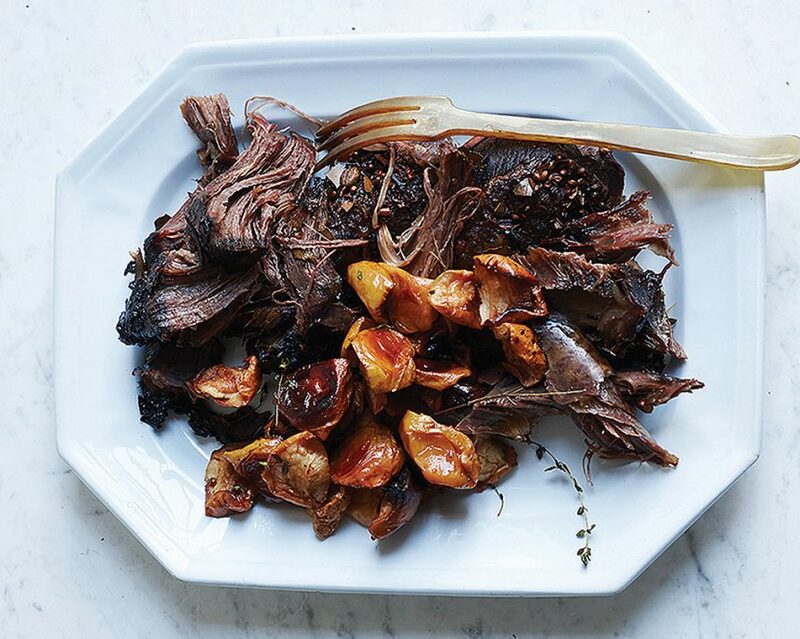 Roast until top of meat is golden brown and crisp, about 40 minutes. Reduce heat to 300º, cover dutch oven and continue cooking another 6 hours. The meat should be very tender and easily fall from the bone. With about 1 1/2 hours left to go, halve and core fruit. Toss with remaining tablespoon olive oil, fresh thyme and a pinch of sea salt. Arrange apples, cut side up, on a parchment lined baking sheet. Place in oven (on a rack below meat) and roast until meat has finished cooking. Remove meat and apples from oven. Shred meat from bone and serve alongside apples. Find Out Why Local Matters. 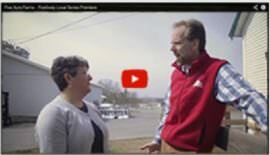 Check out our Positively Local® Video.